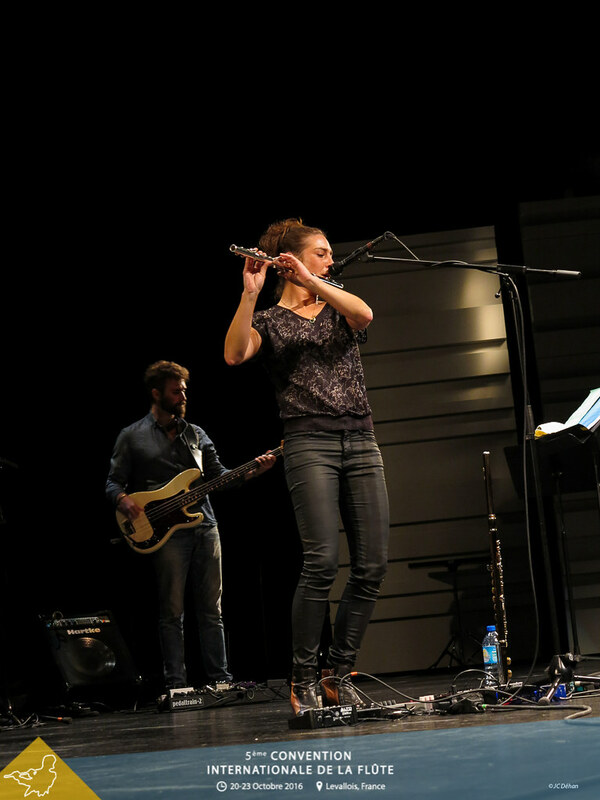 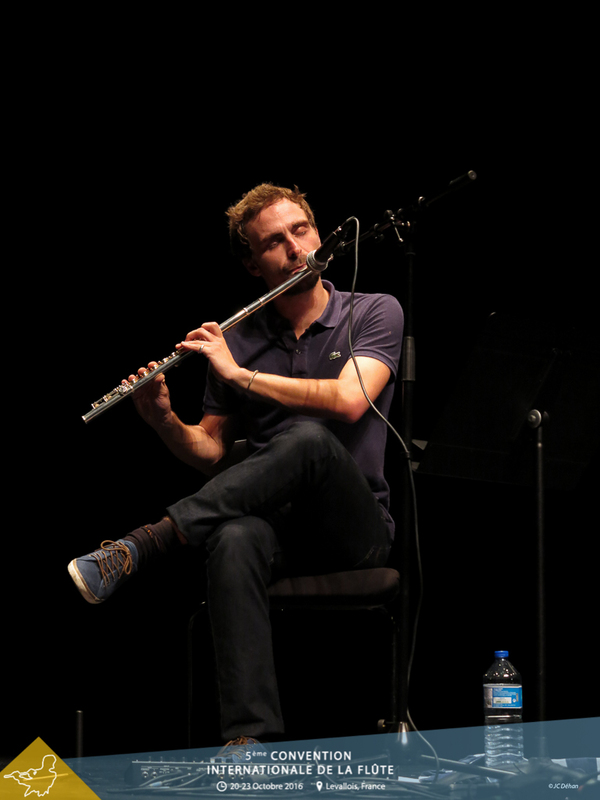 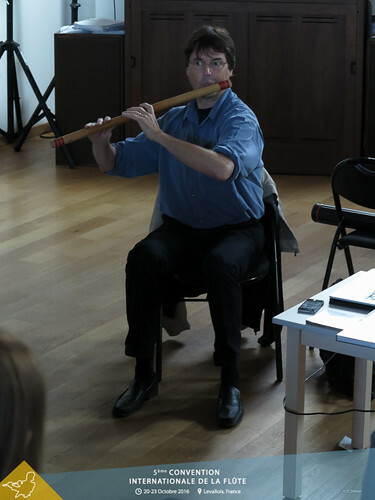 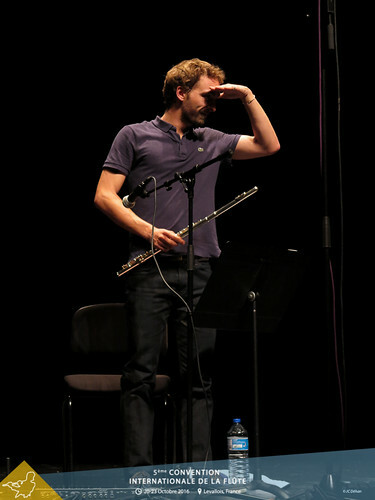 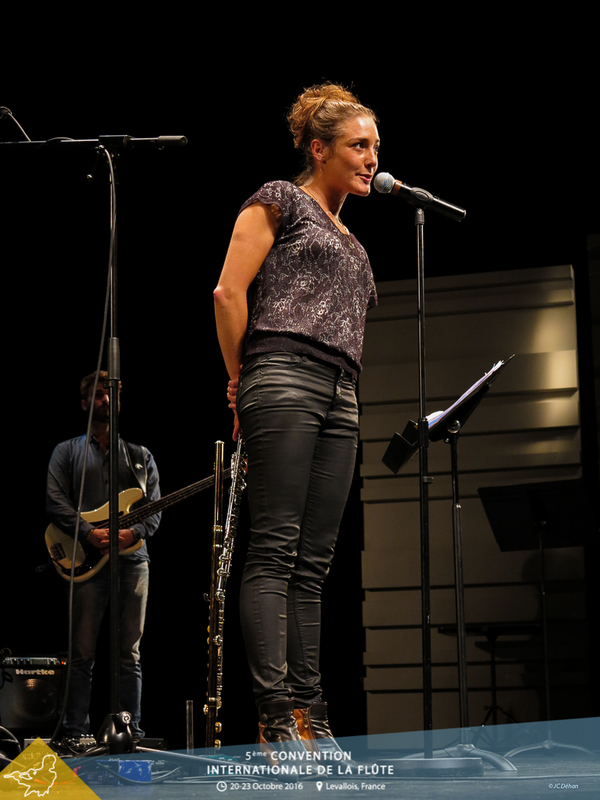 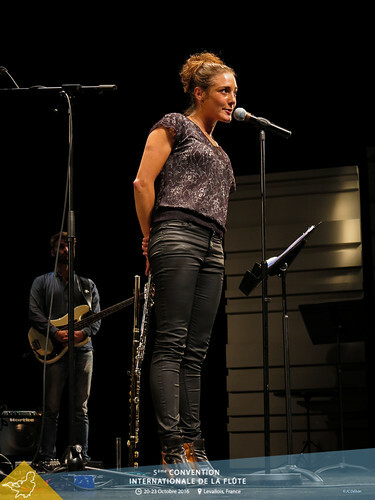 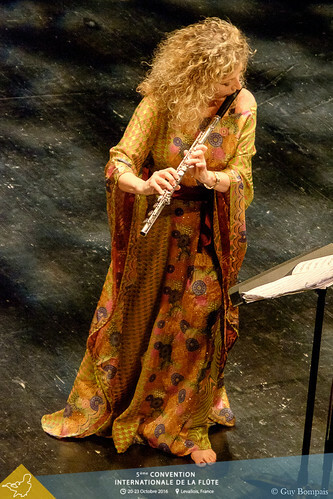 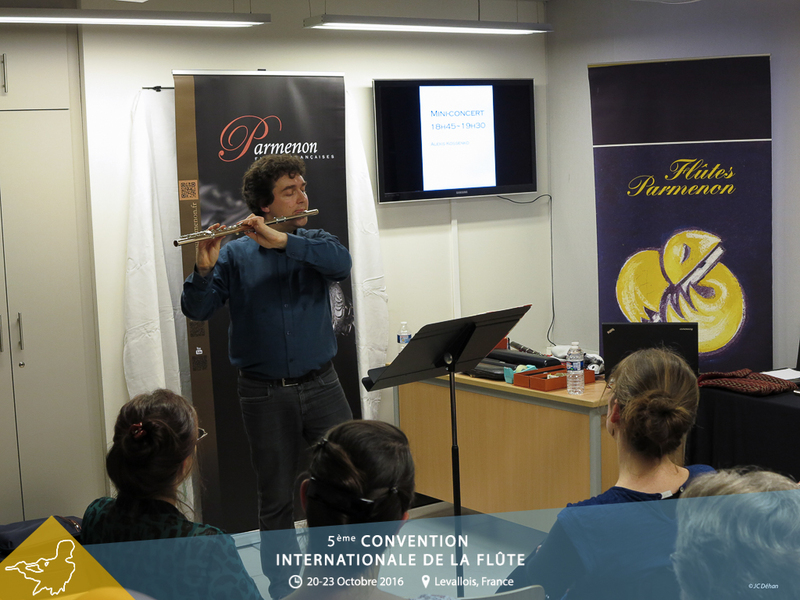 Imagine 4 days of concerts, conferences, master-classes, workshops around the flute. 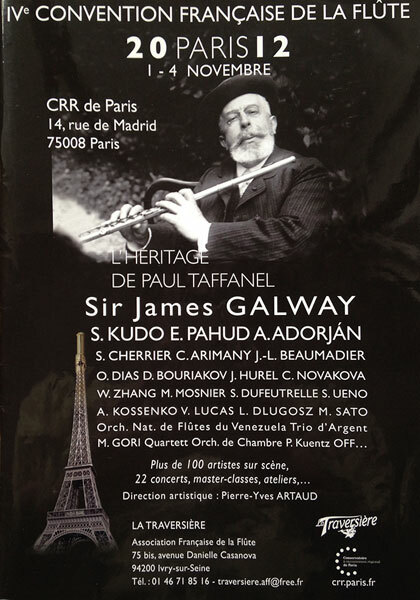 4 days of festival during which all the flute lovers gather: artists, amateurs, teachers, instrument makers... 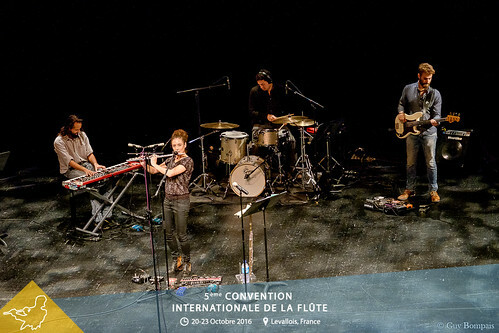 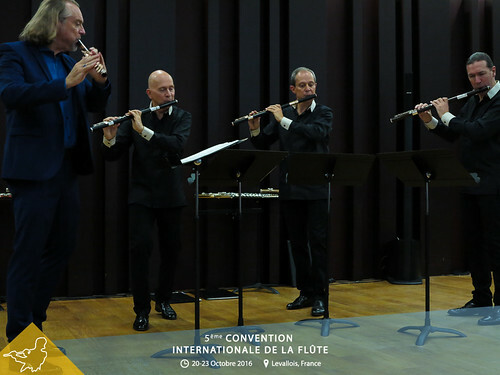 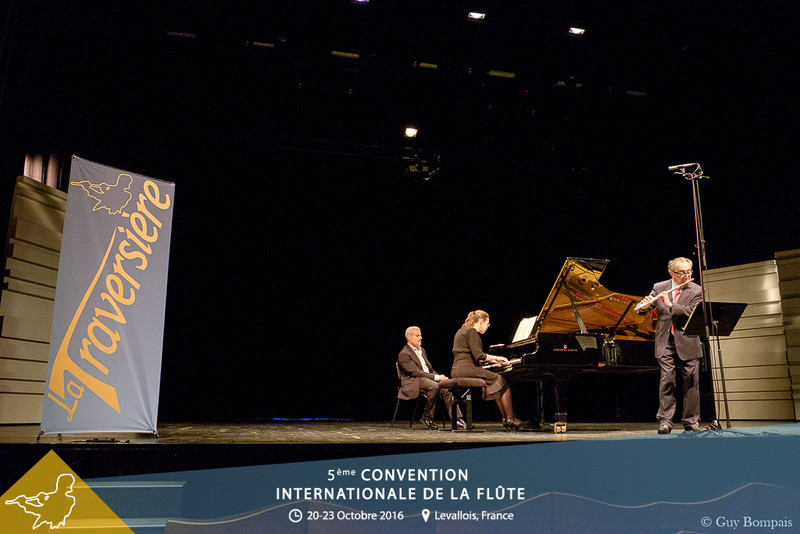 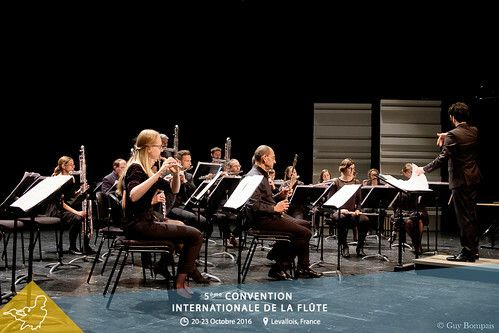 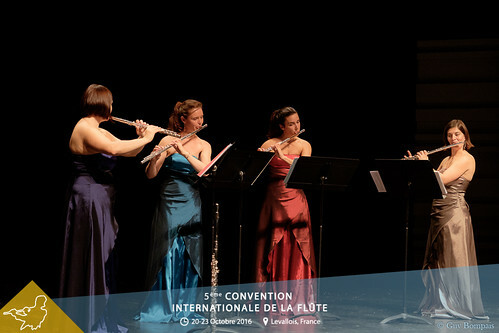 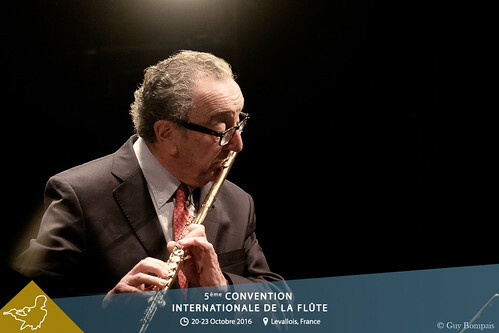 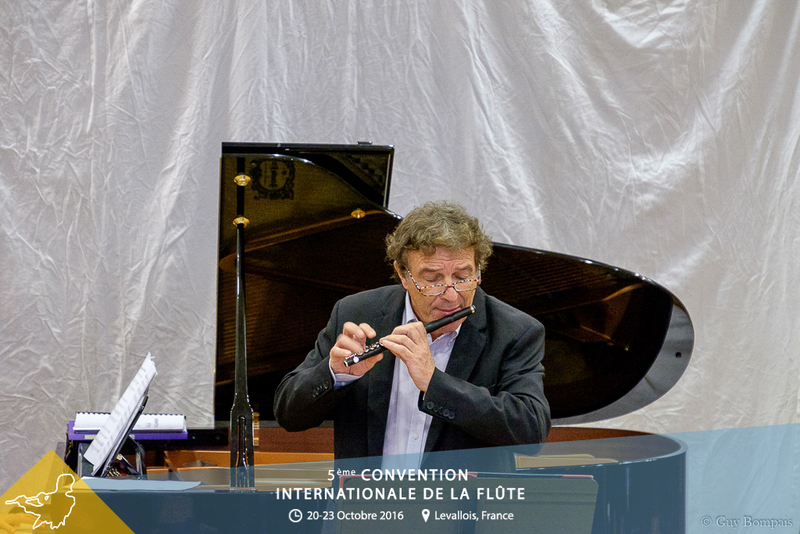 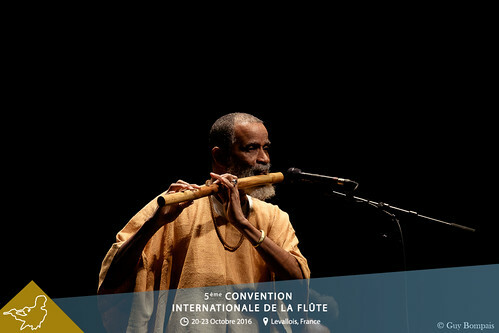 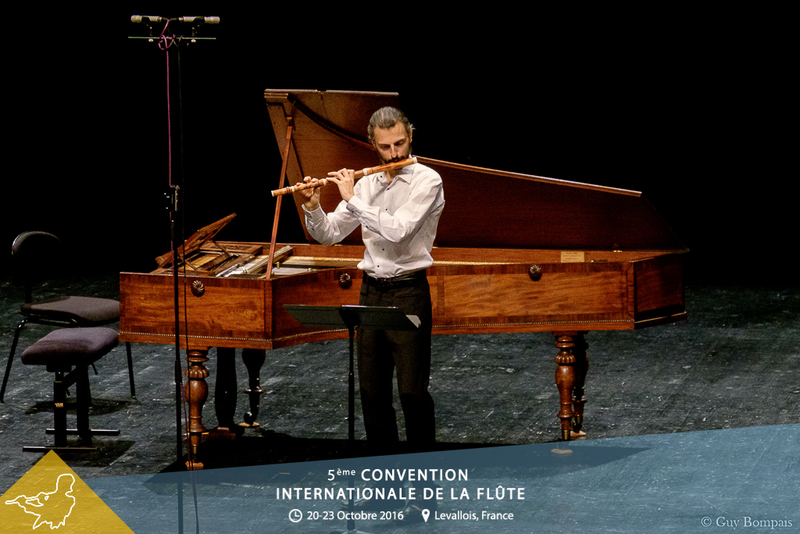 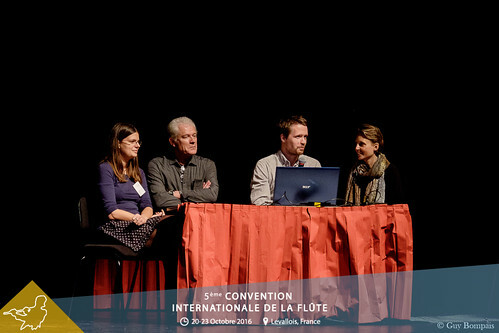 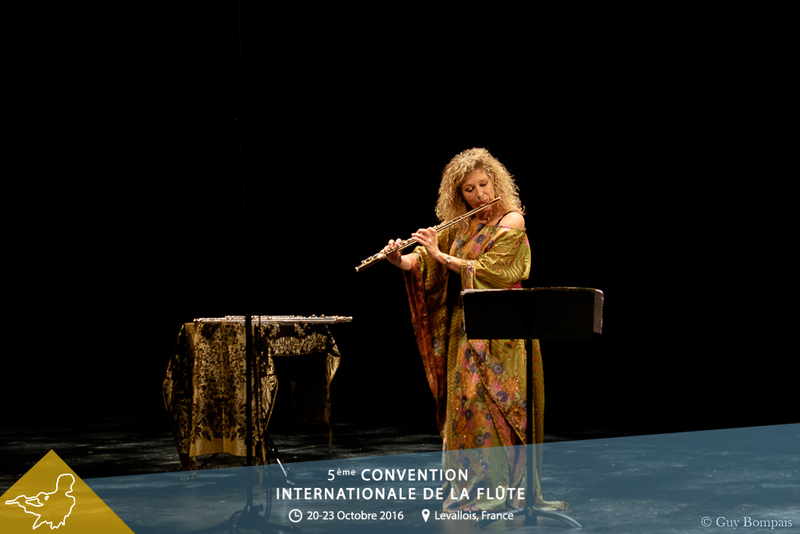 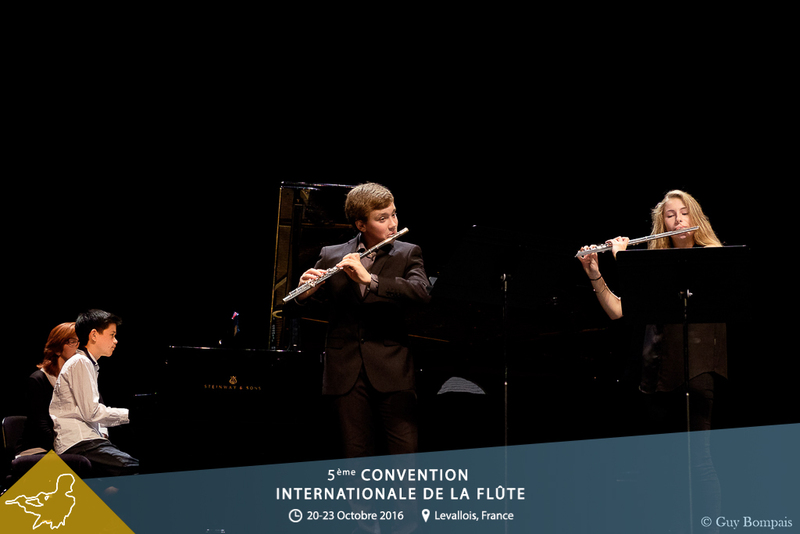 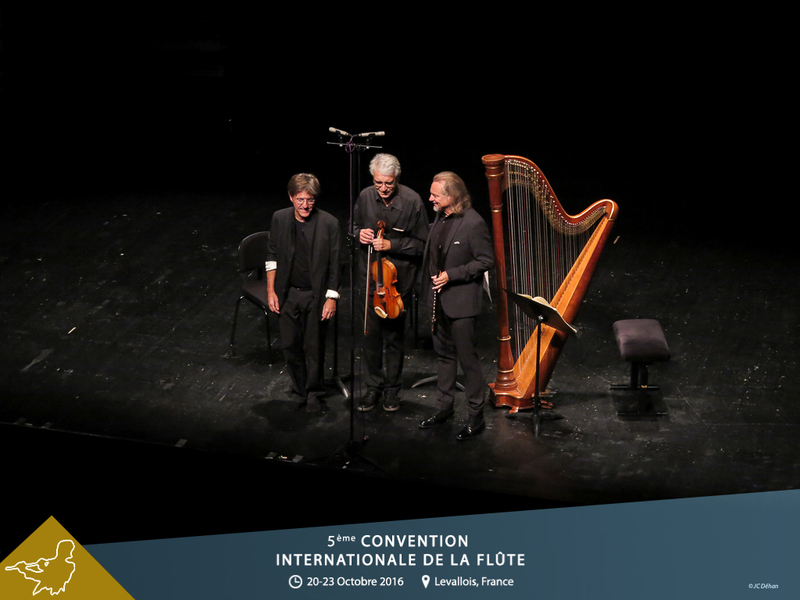 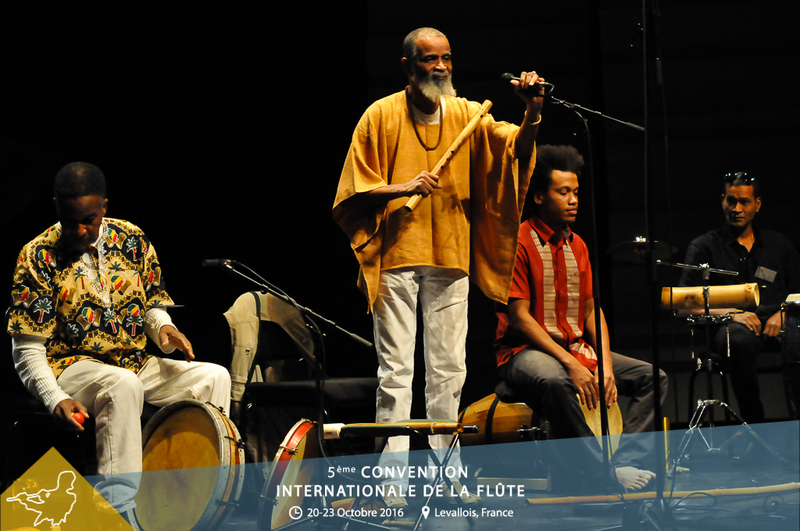 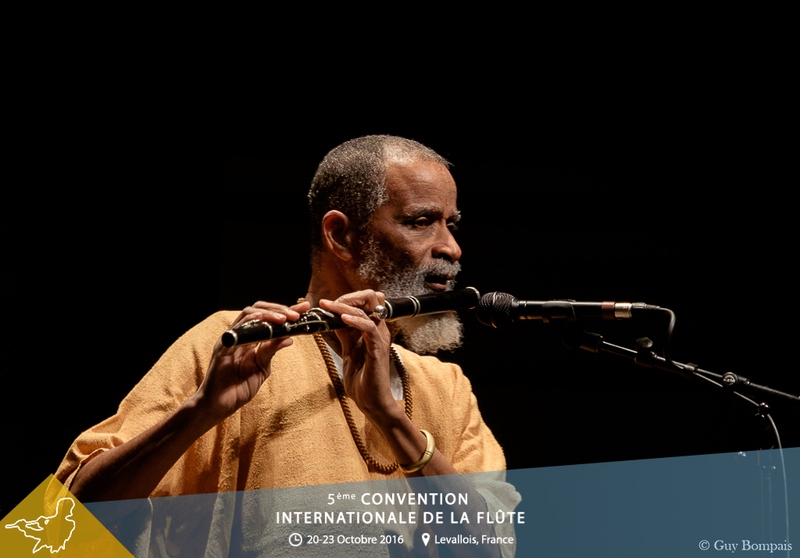 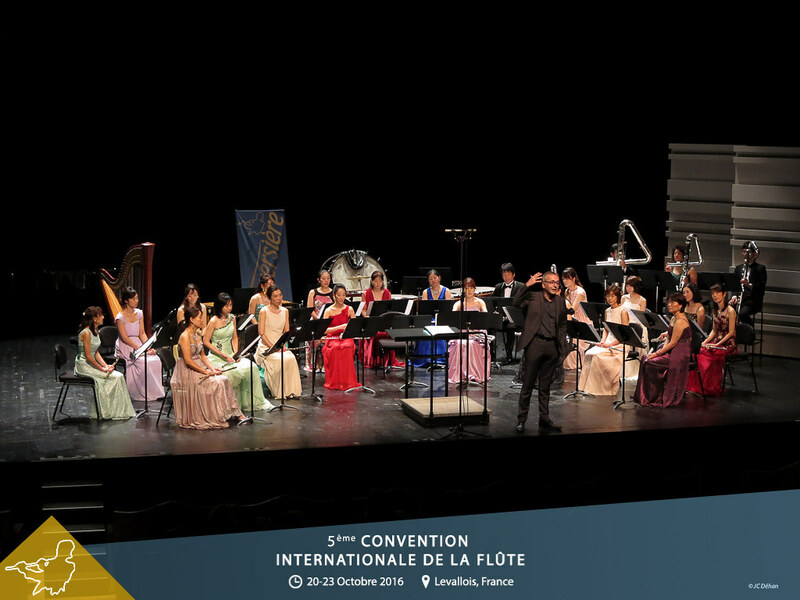 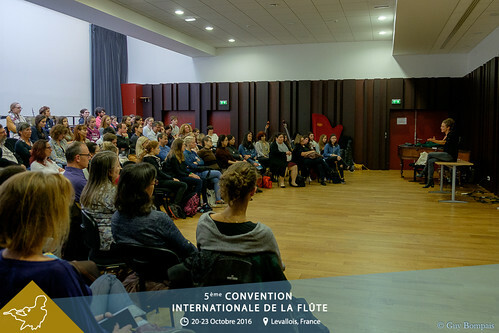 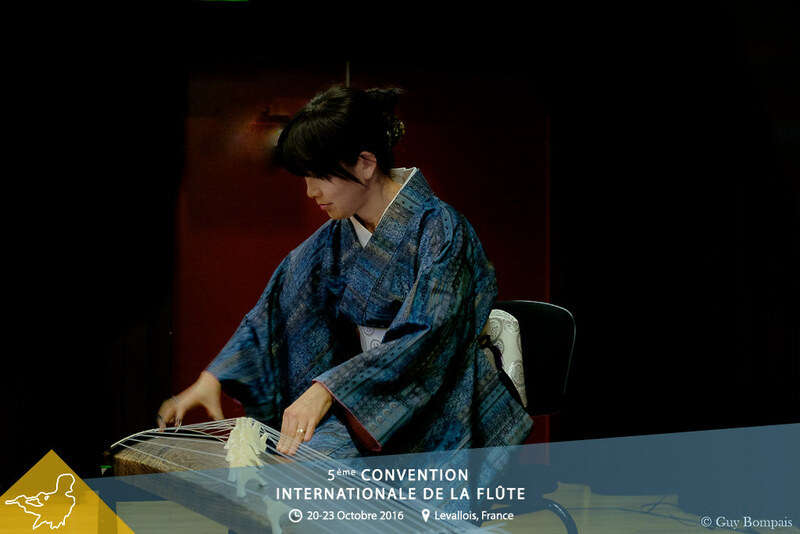 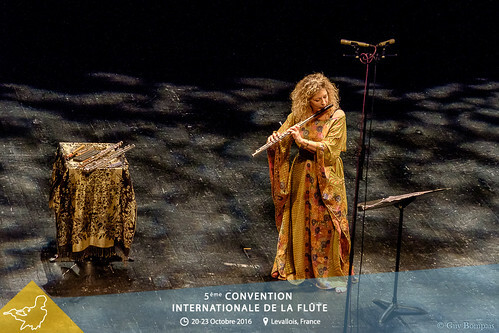 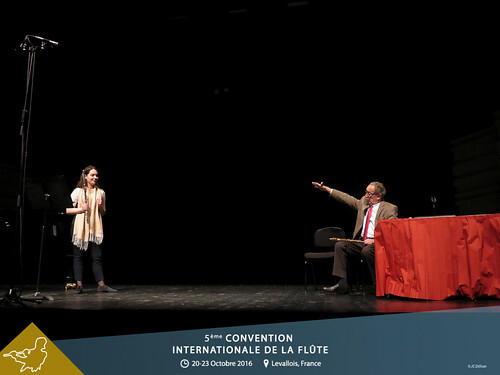 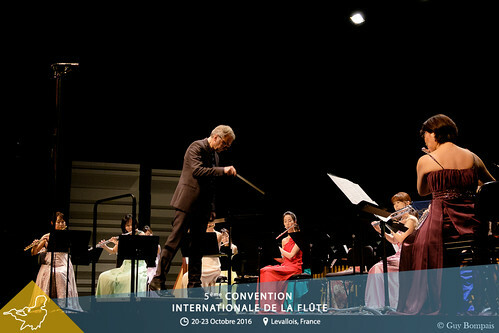 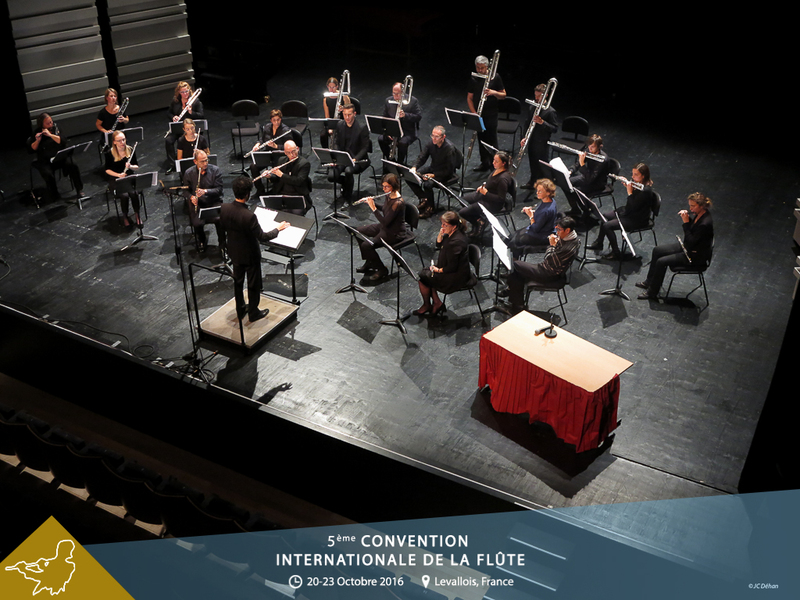 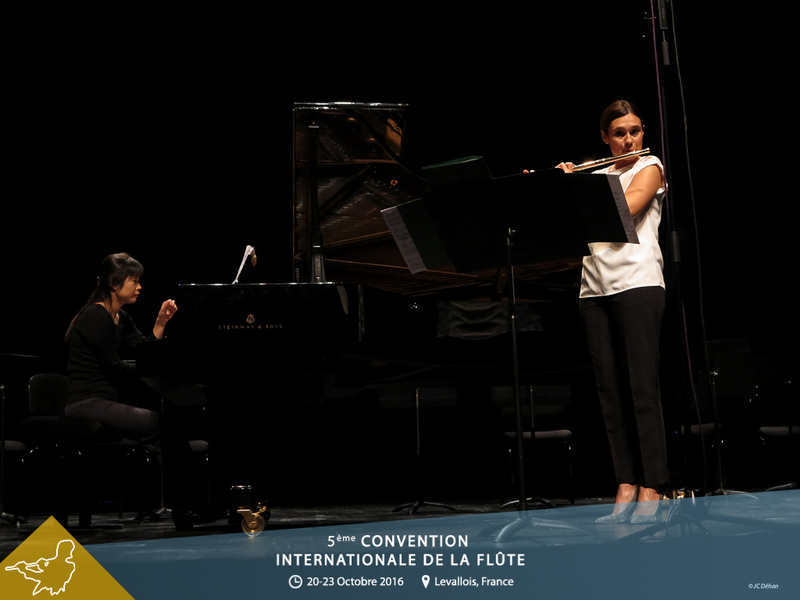 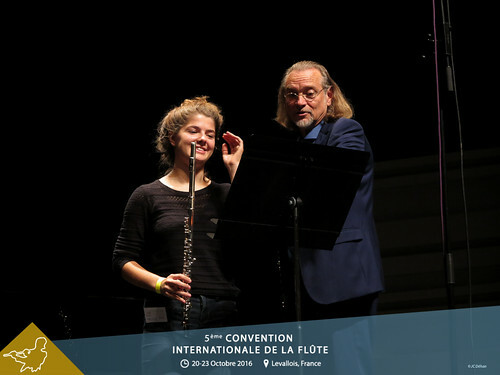 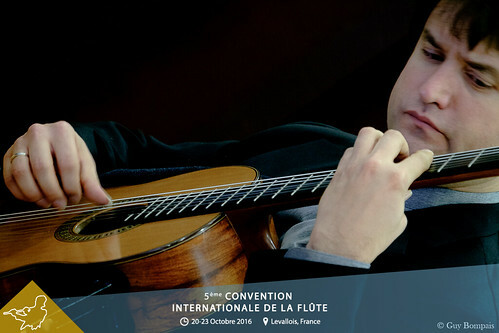 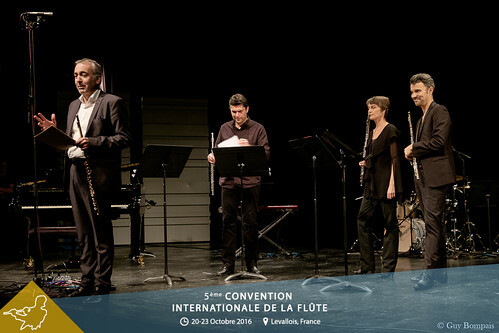 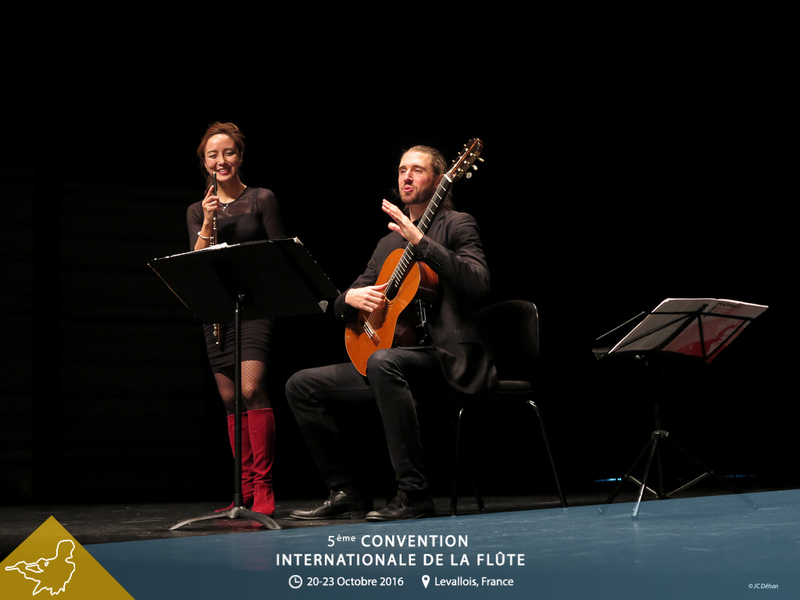 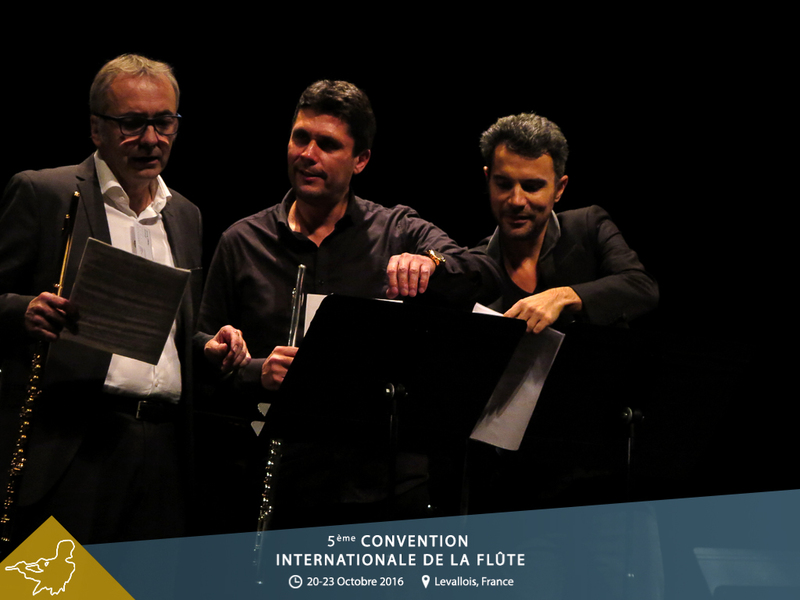 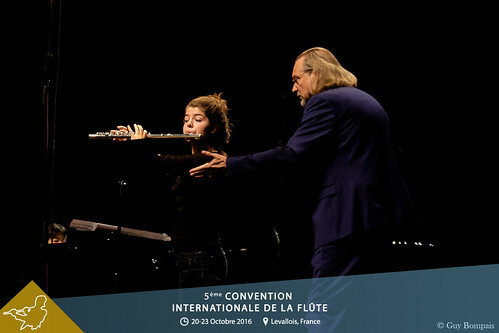 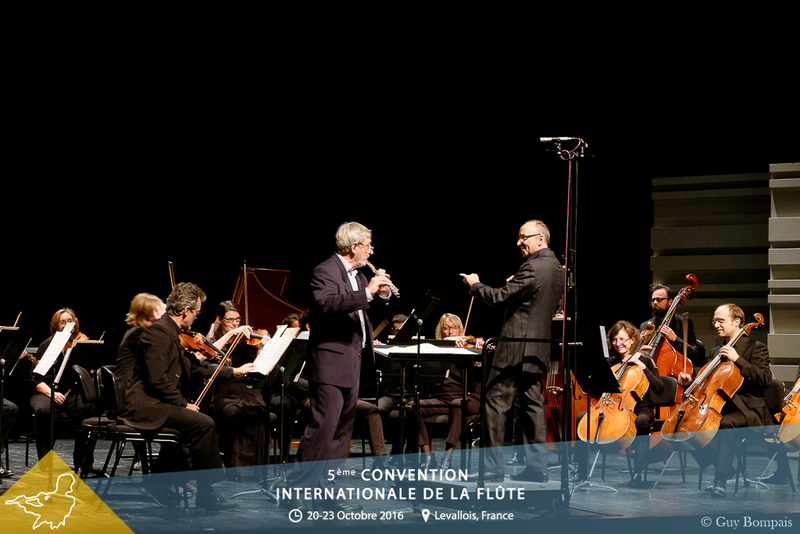 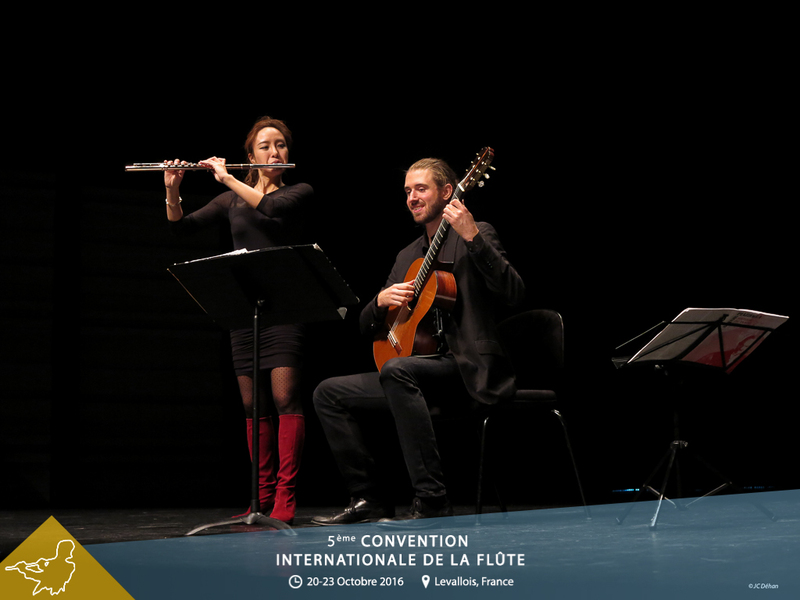 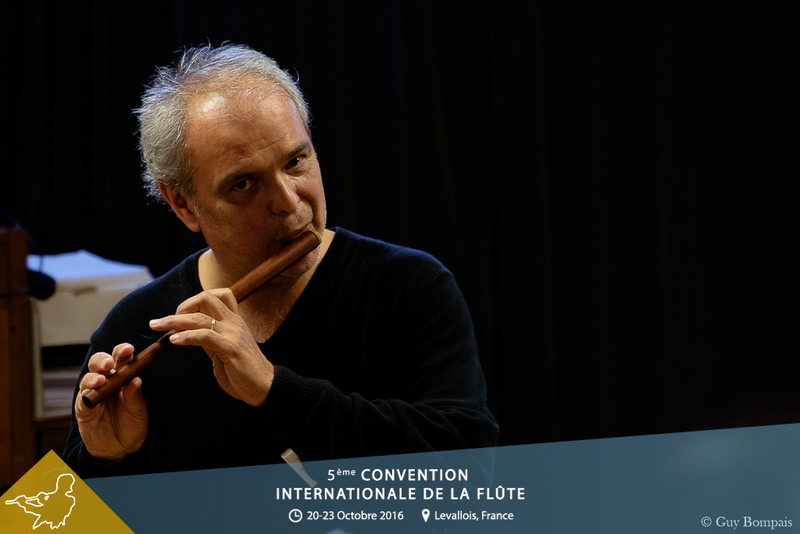 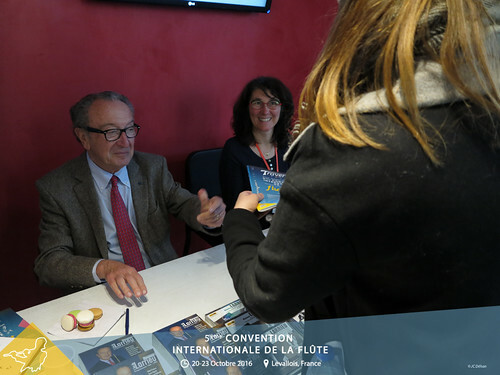 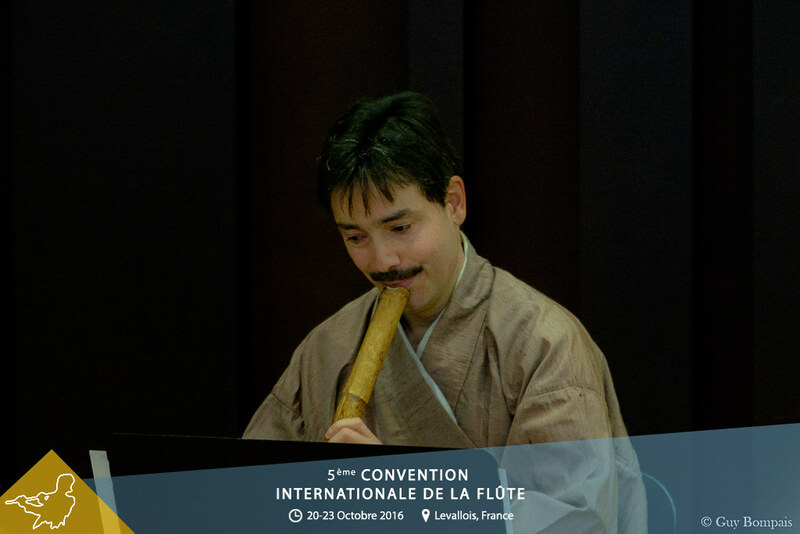 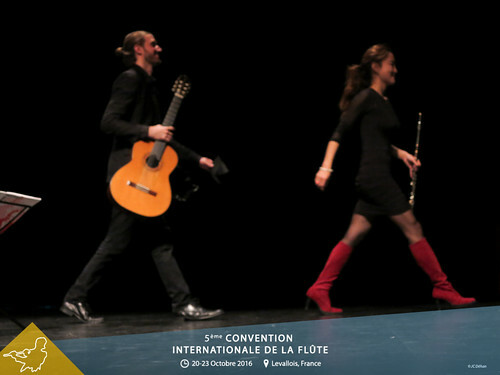 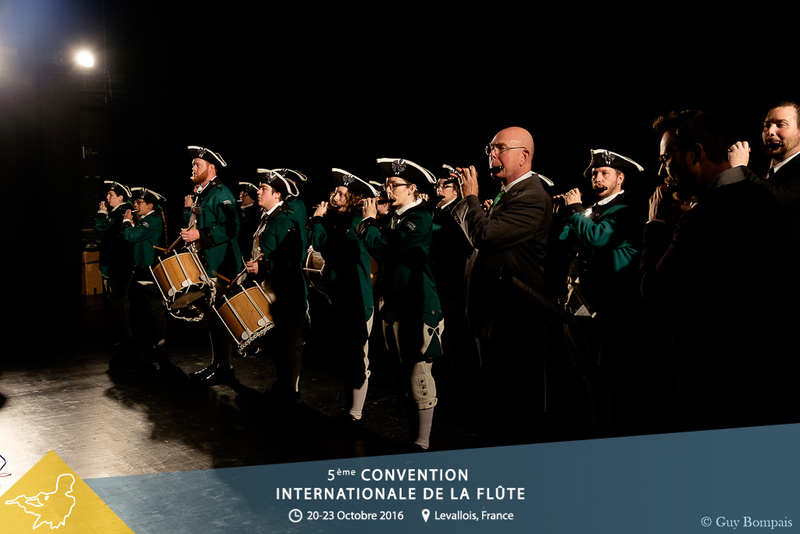 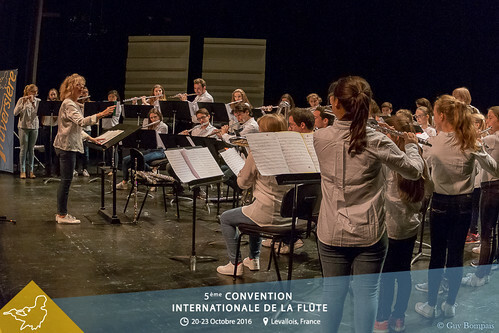 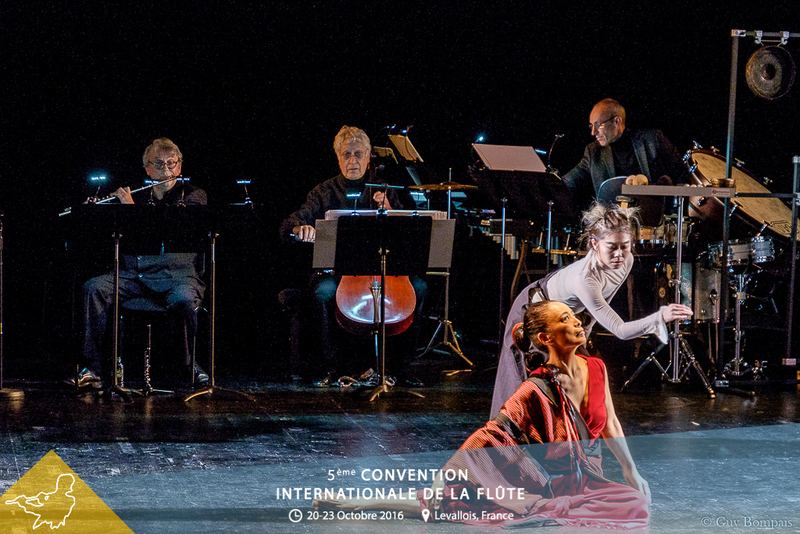 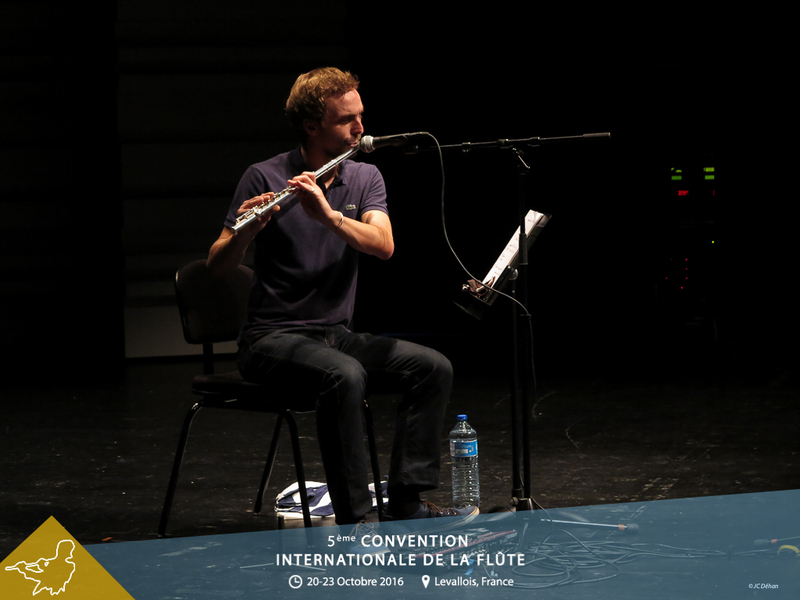 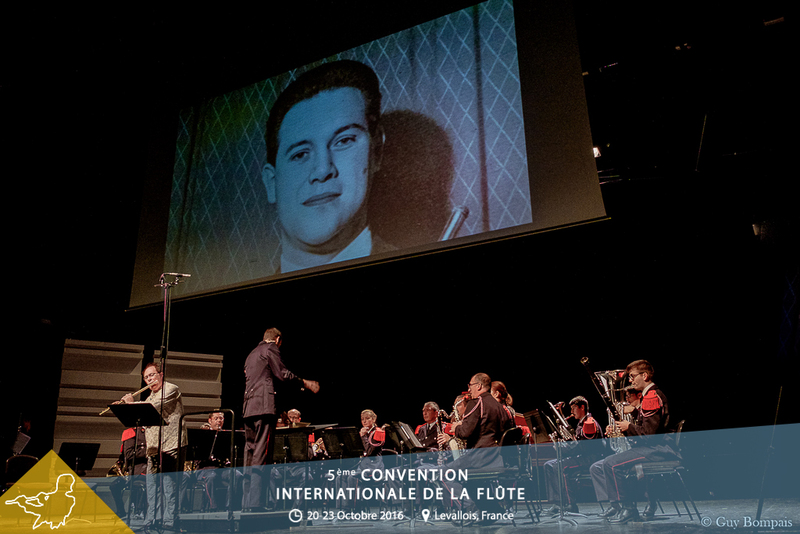 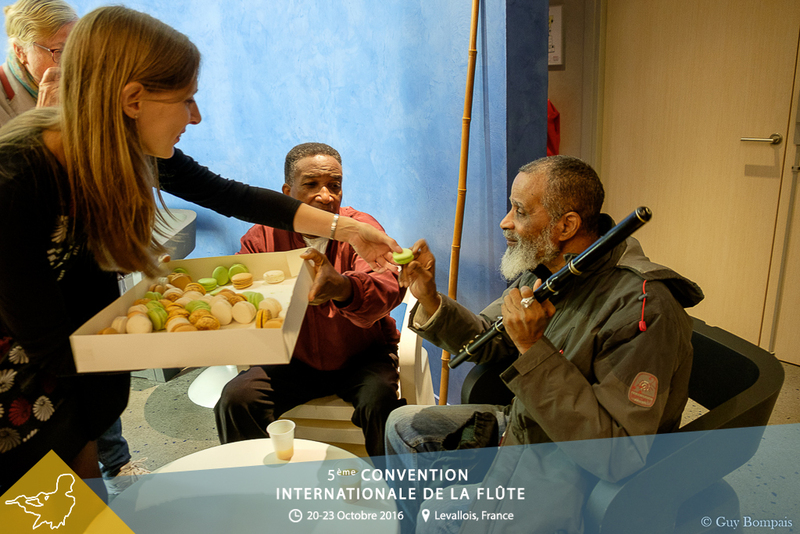 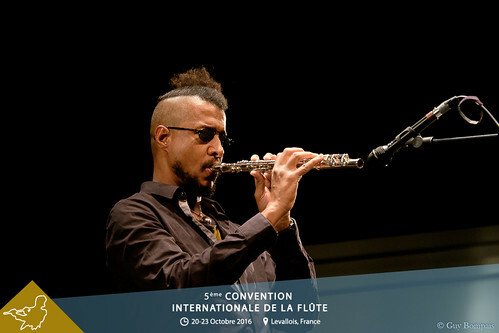 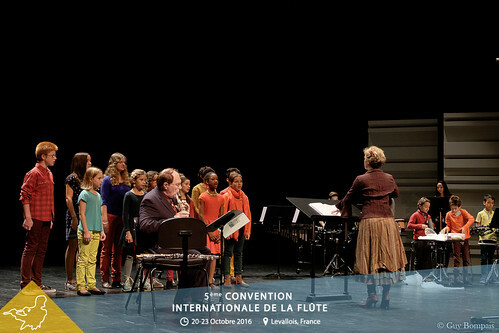 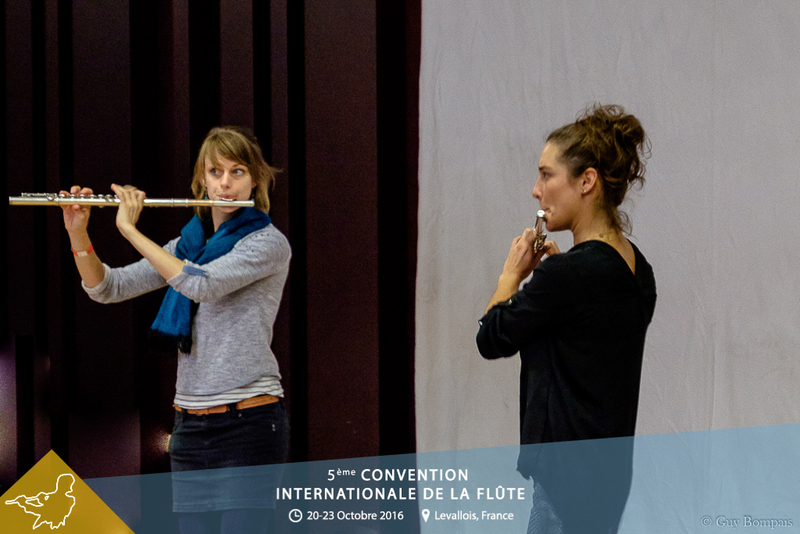 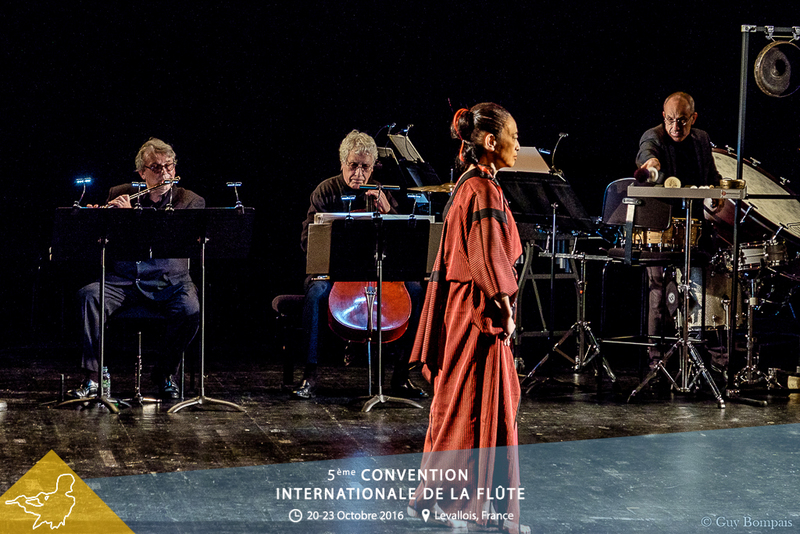 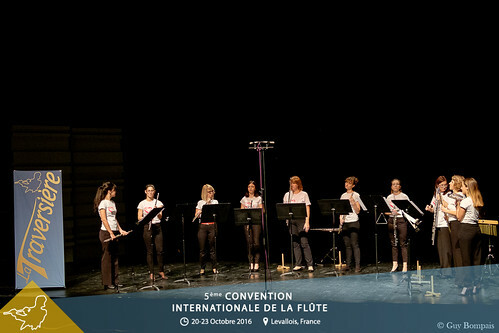 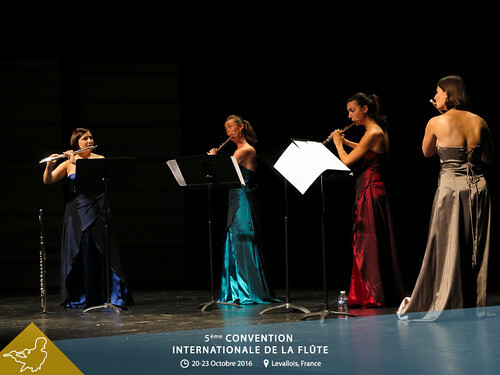 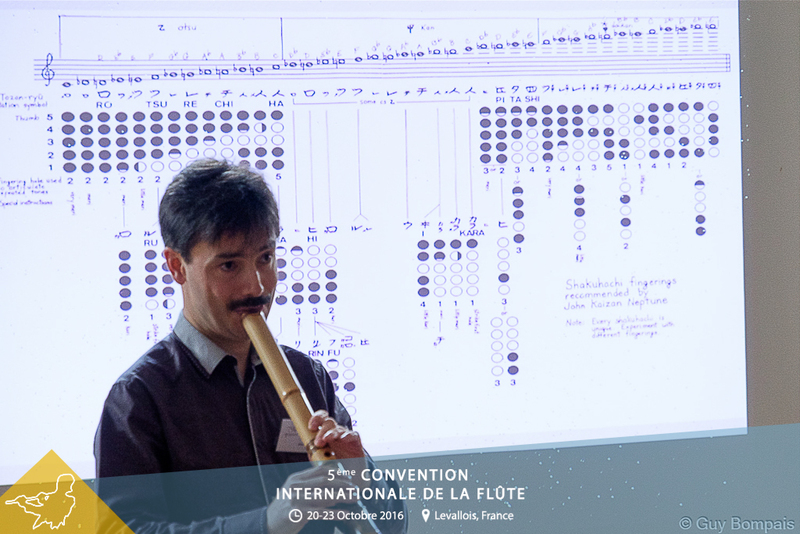 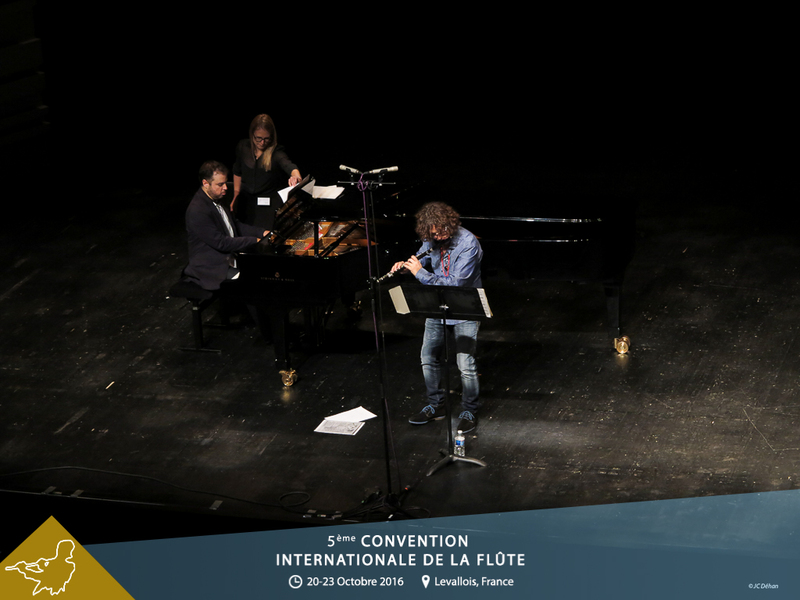 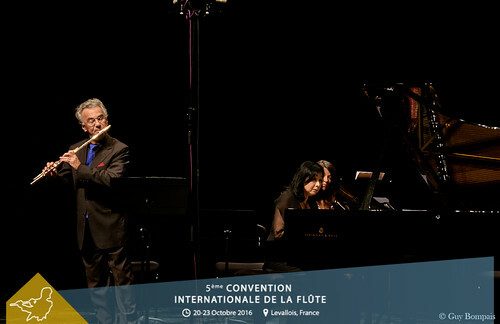 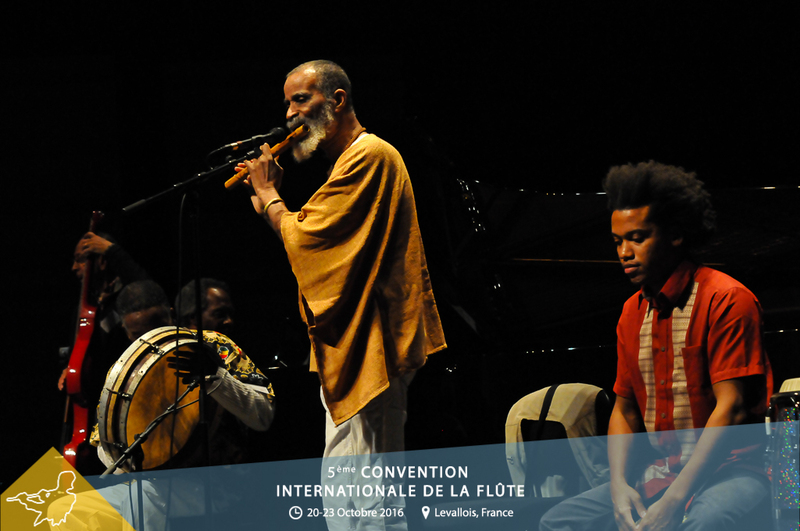 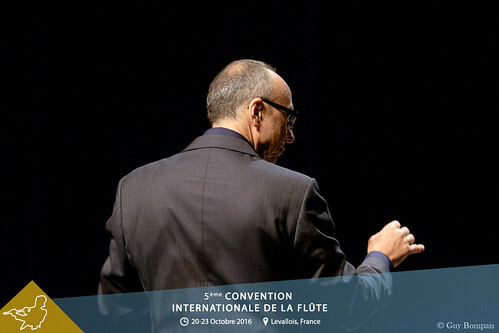 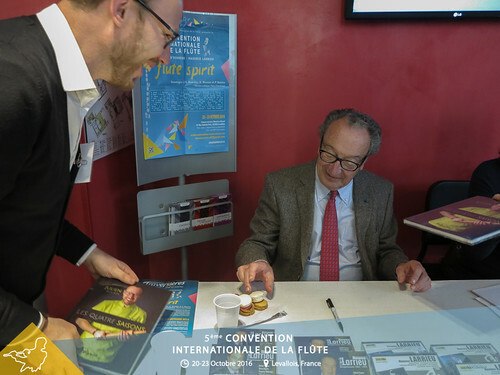 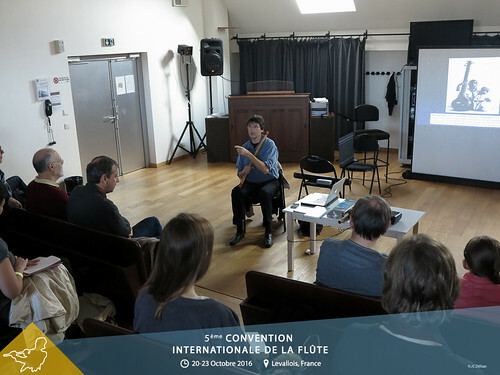 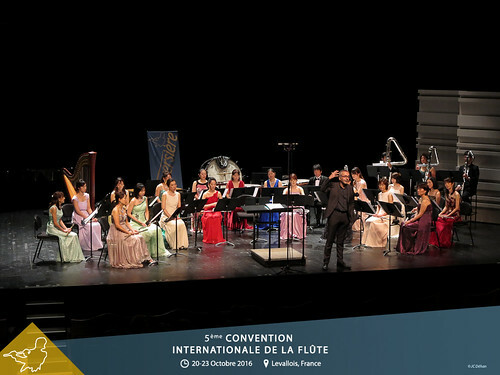 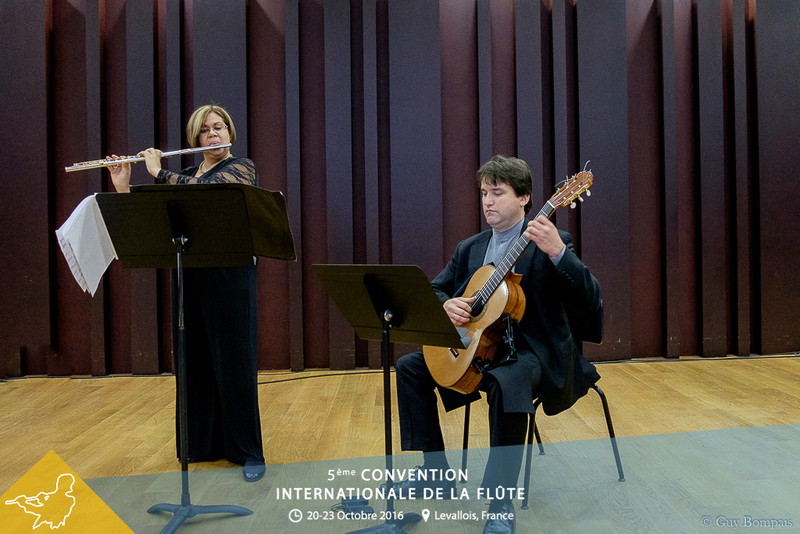 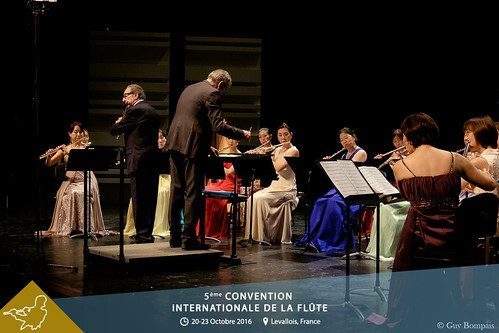 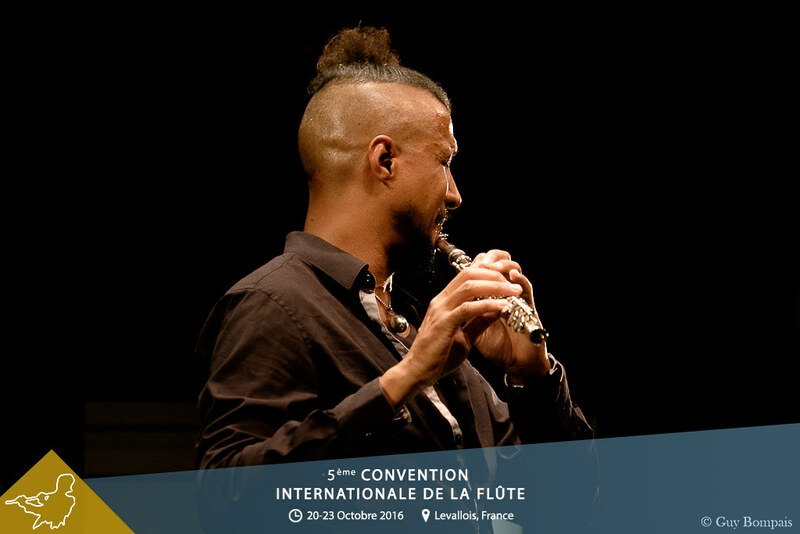 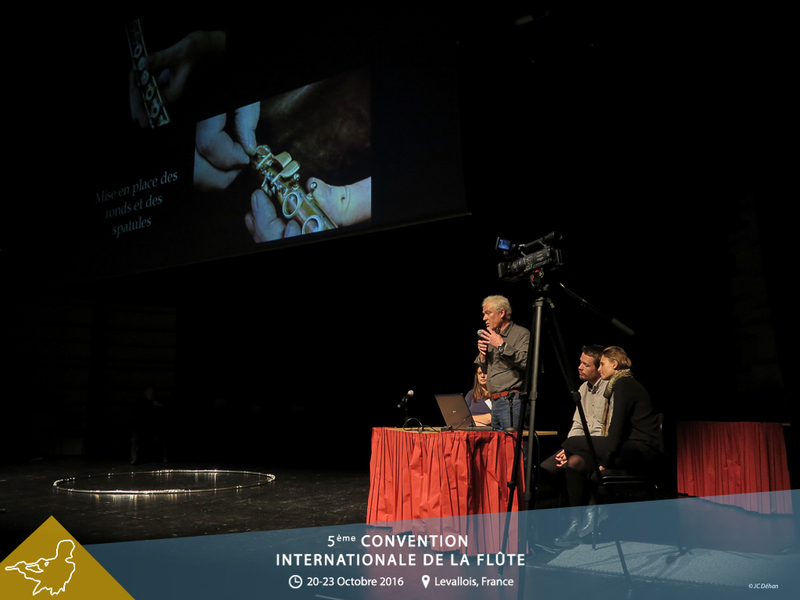 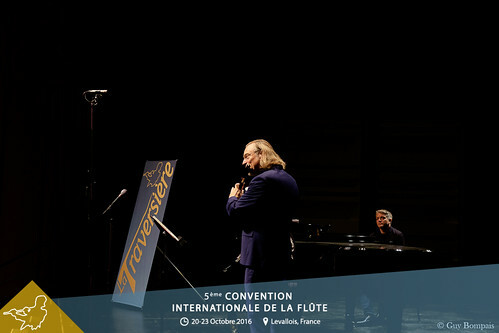 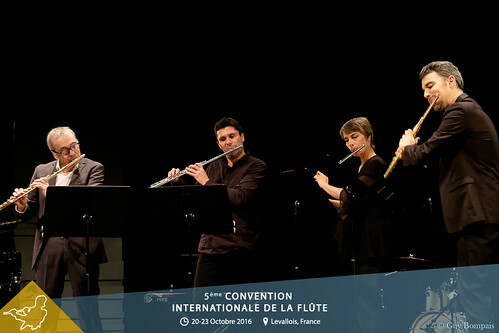 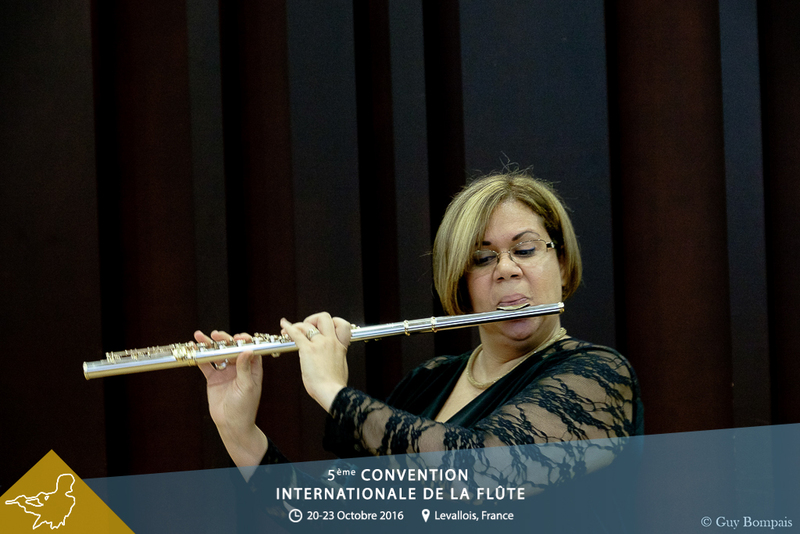 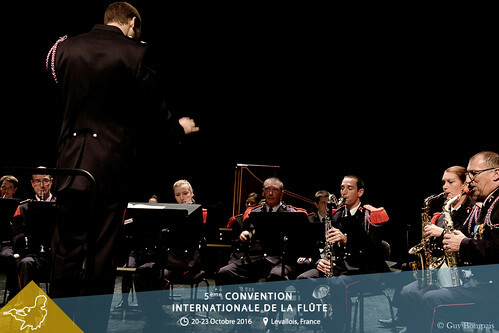 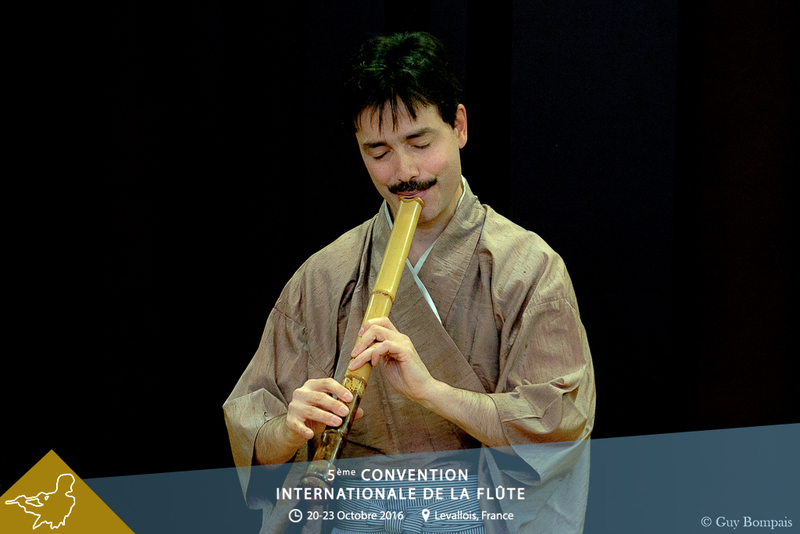 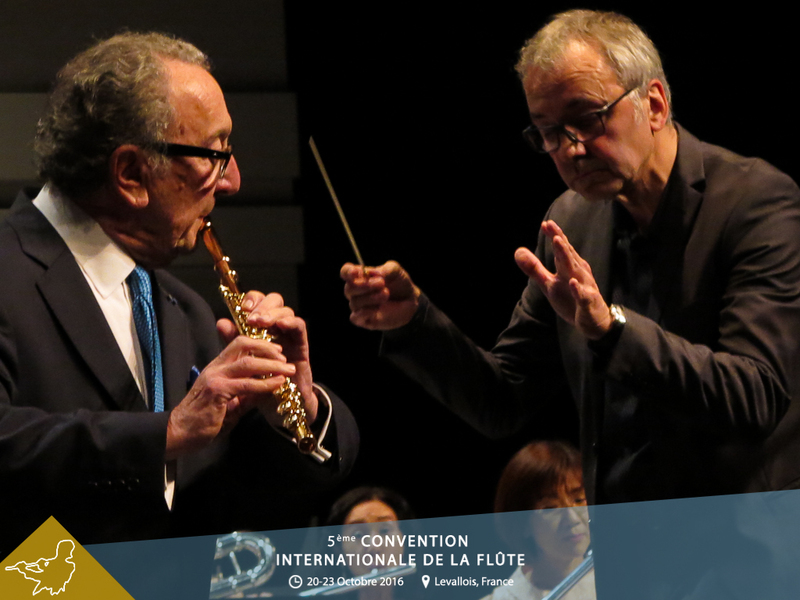 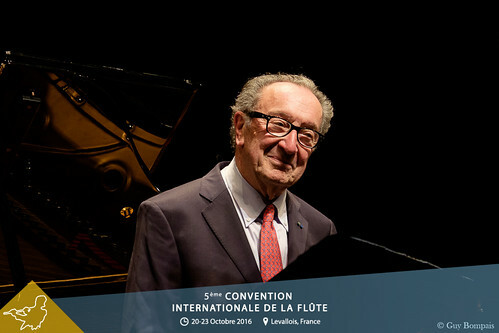 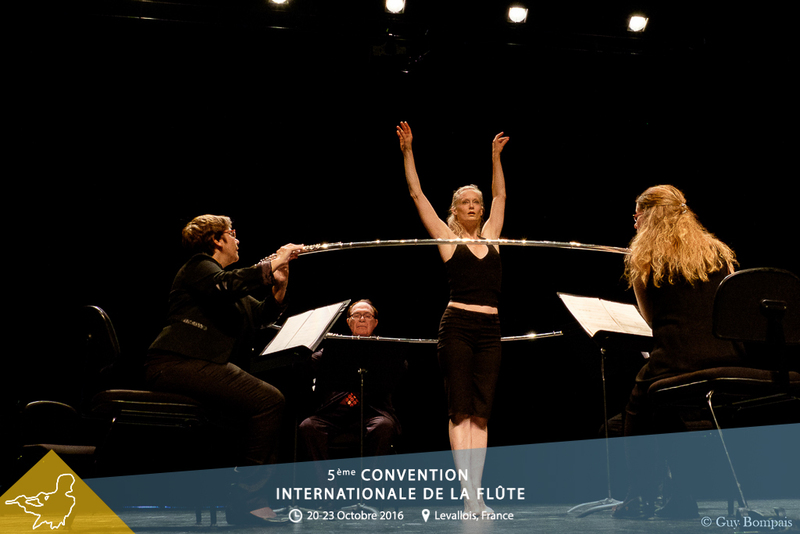 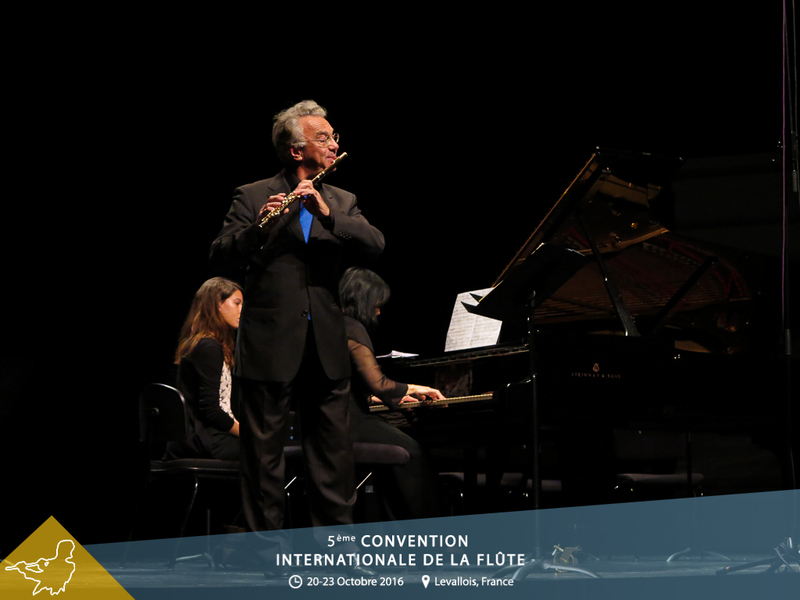 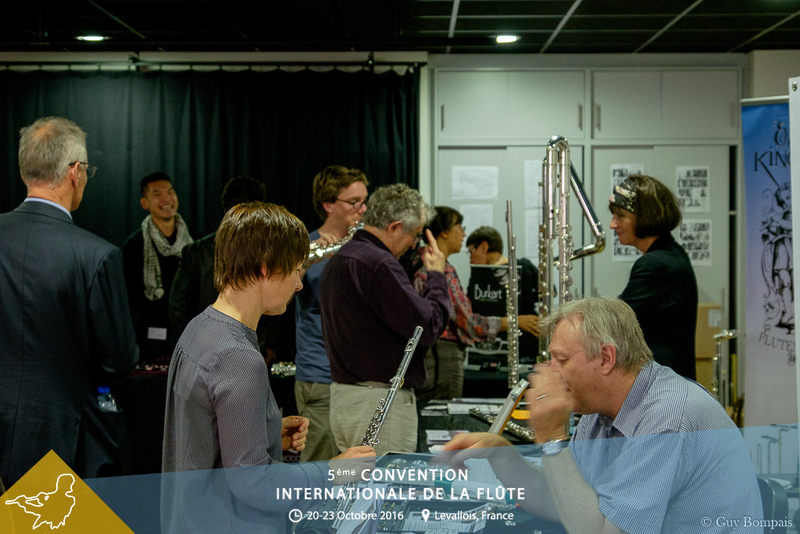 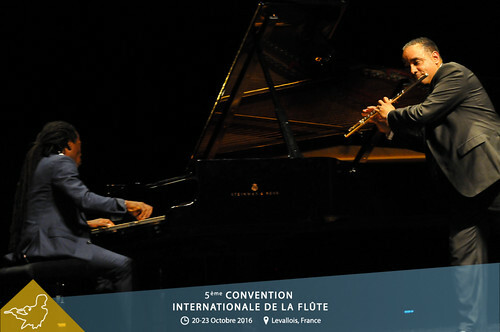 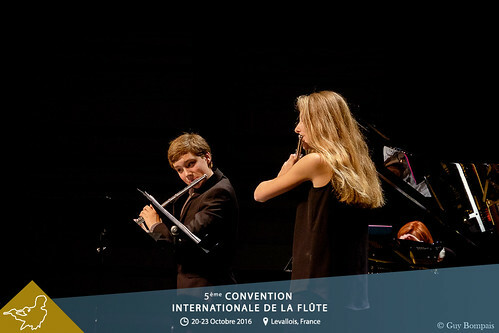 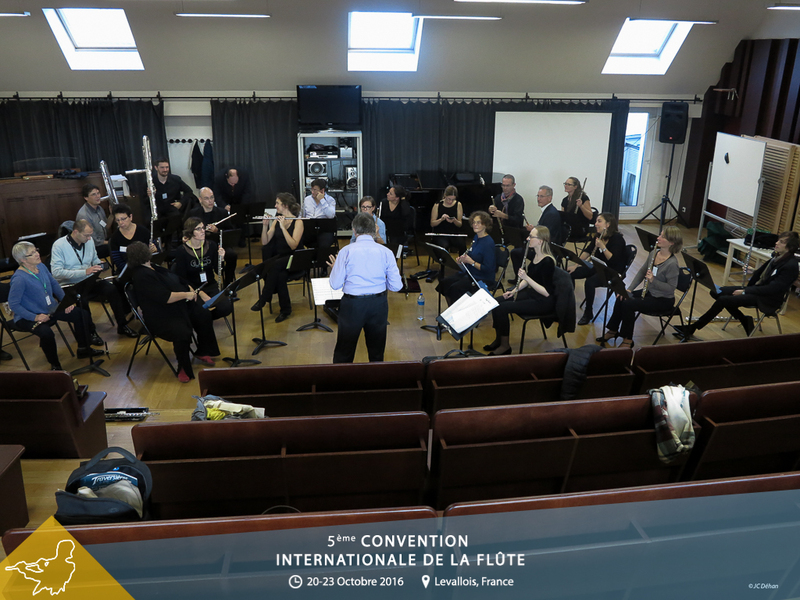 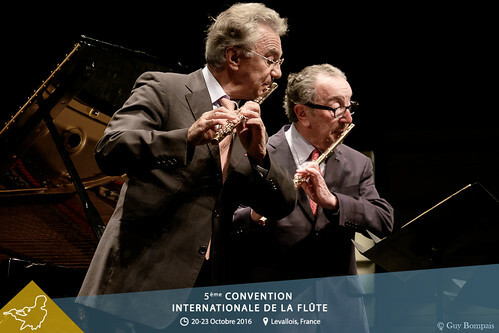 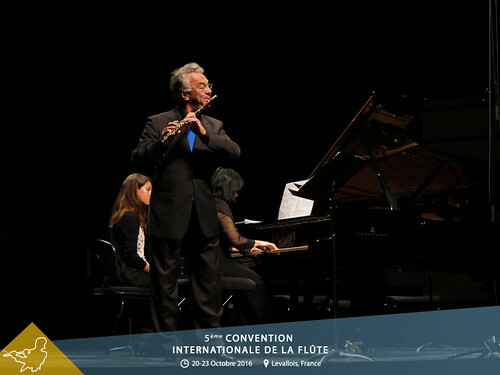 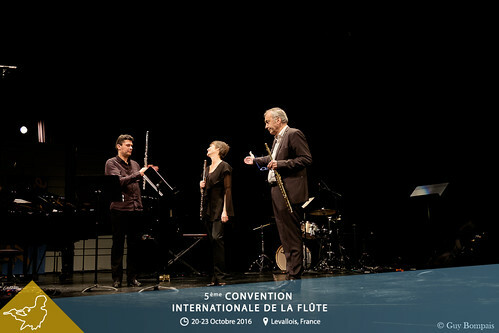 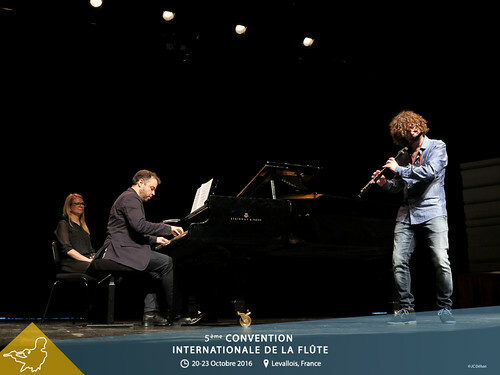 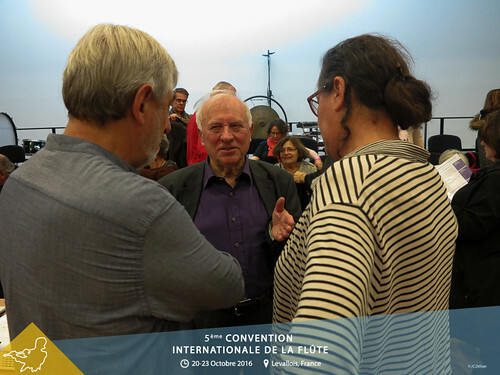 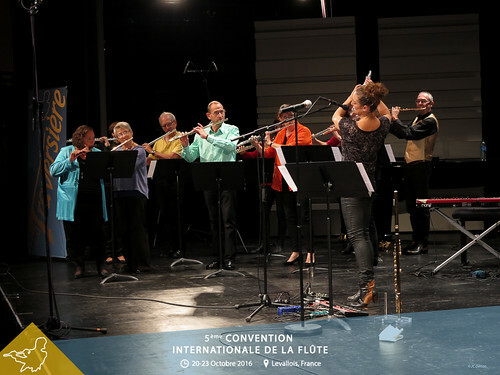 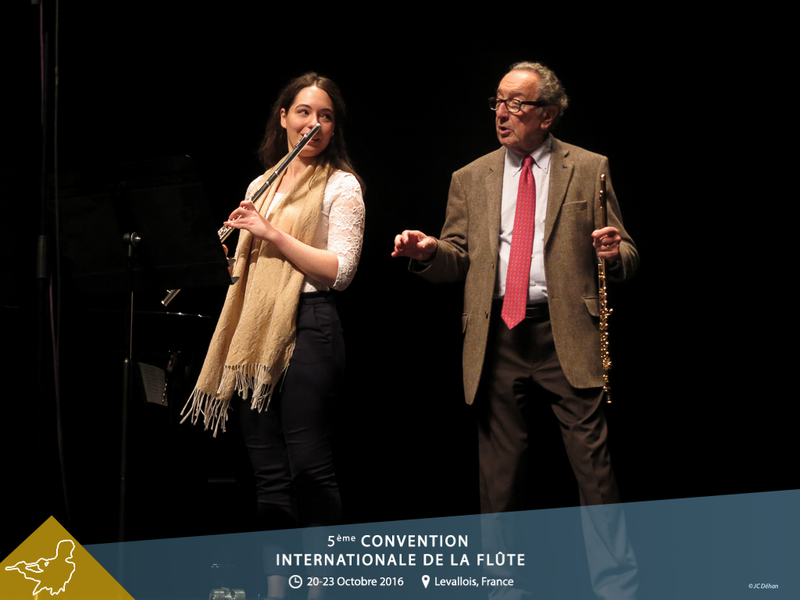 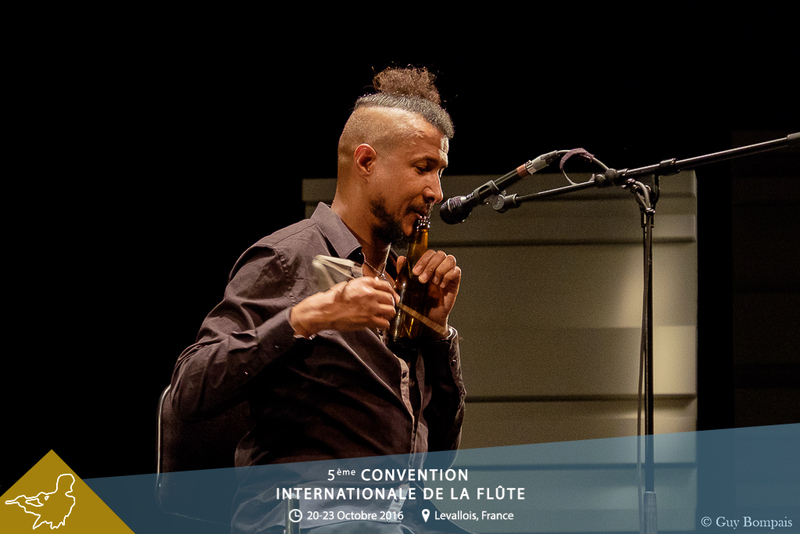 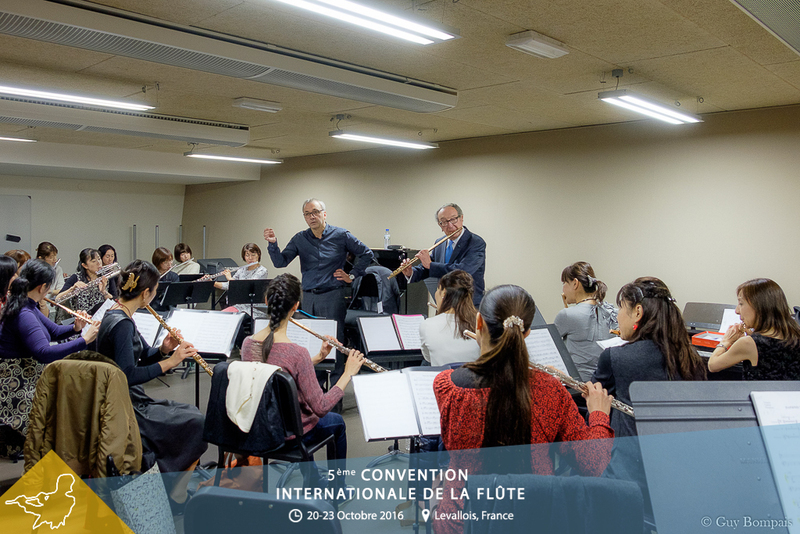 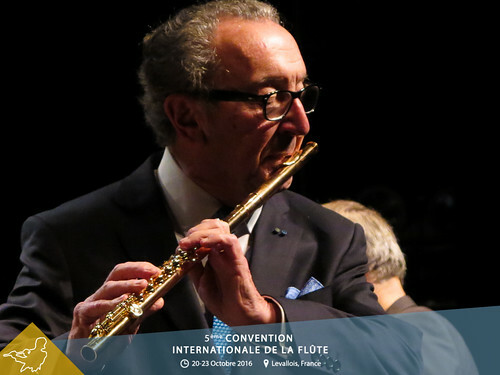 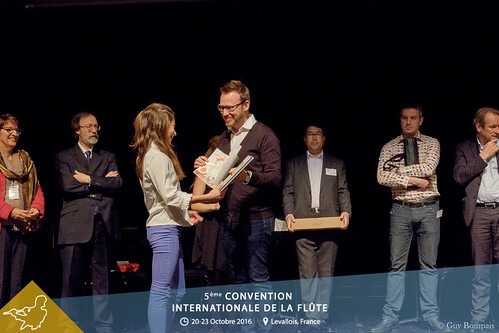 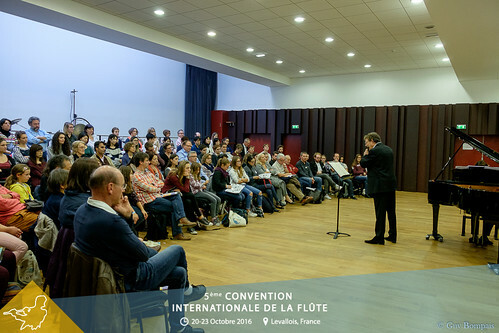 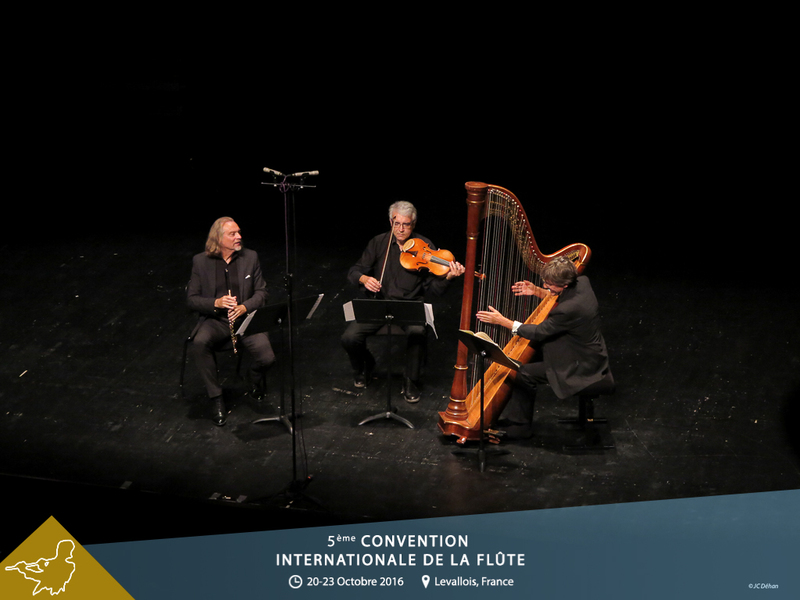 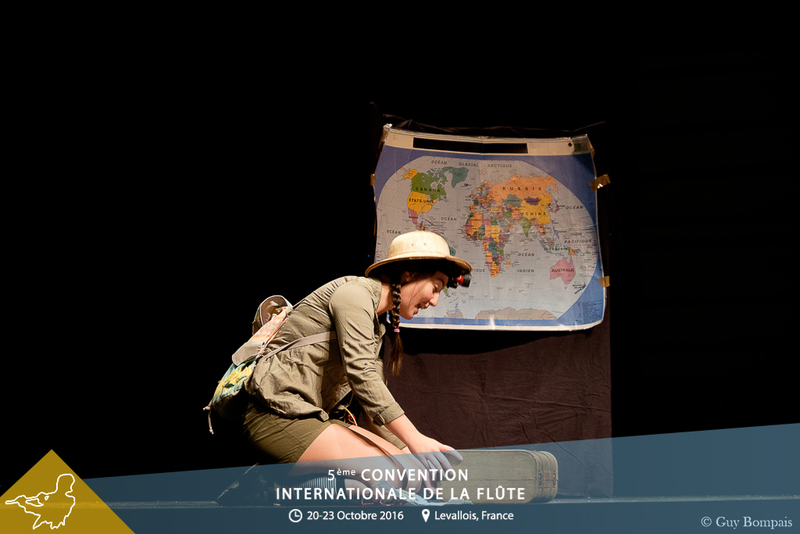 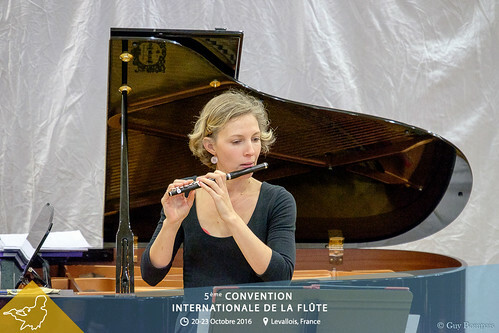 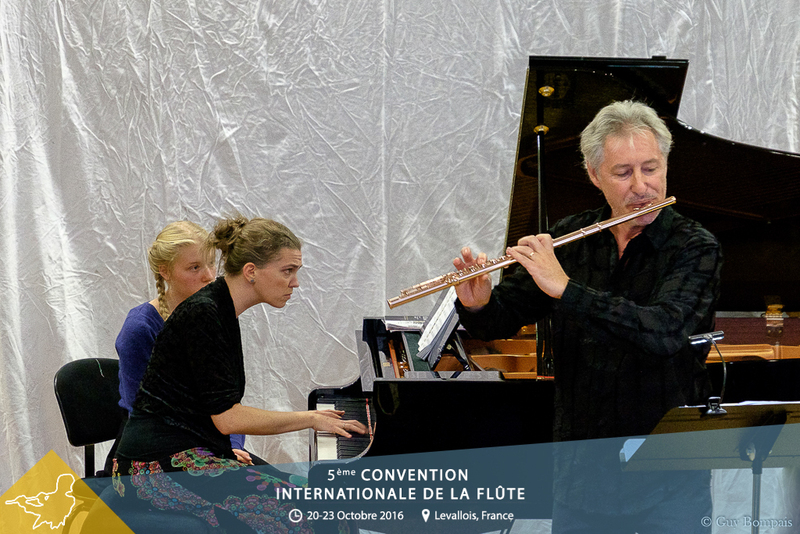 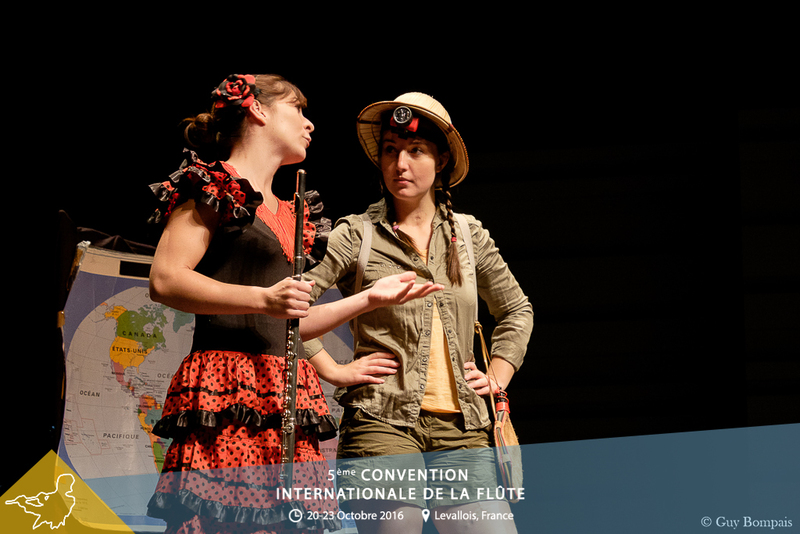 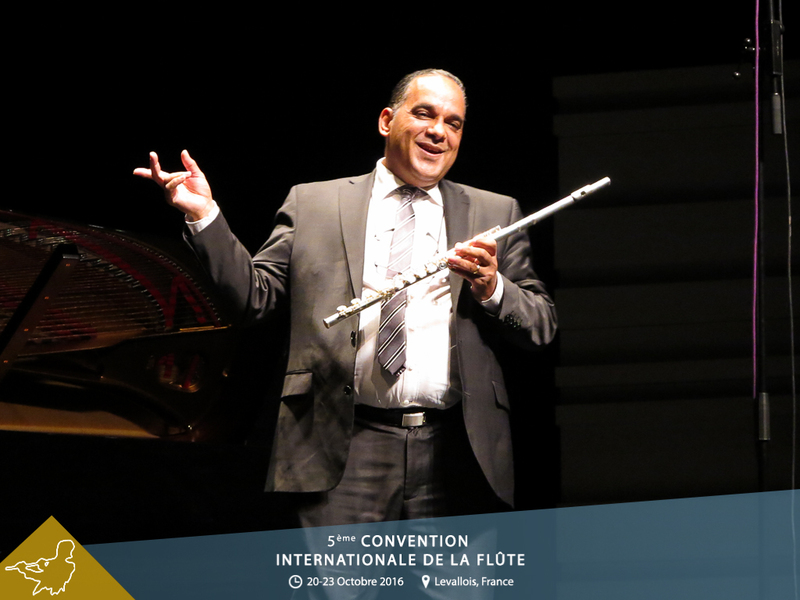 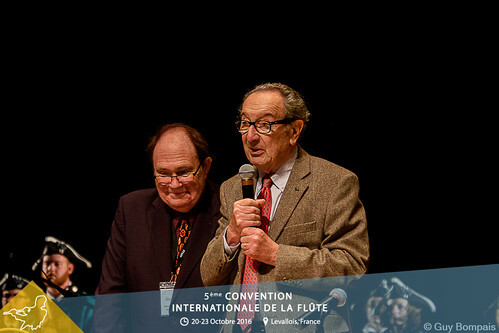 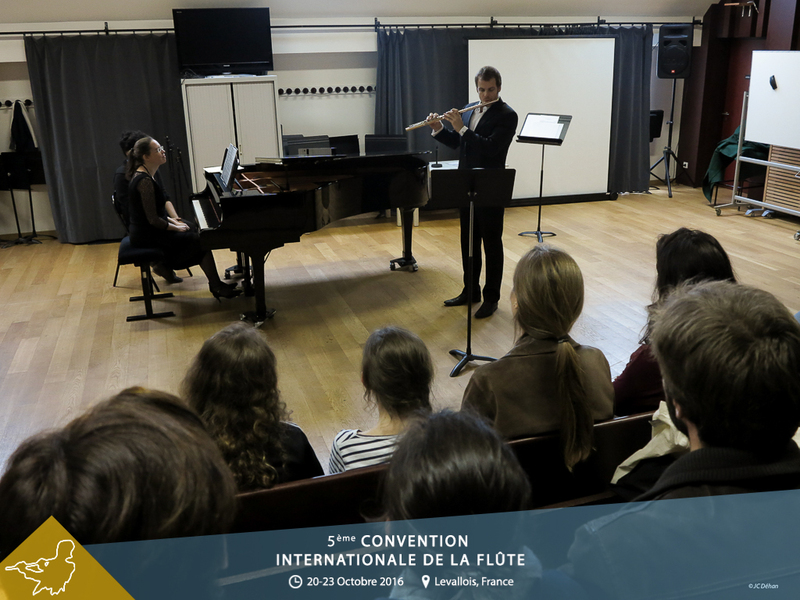 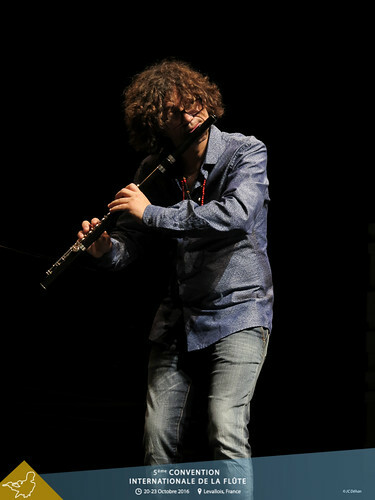 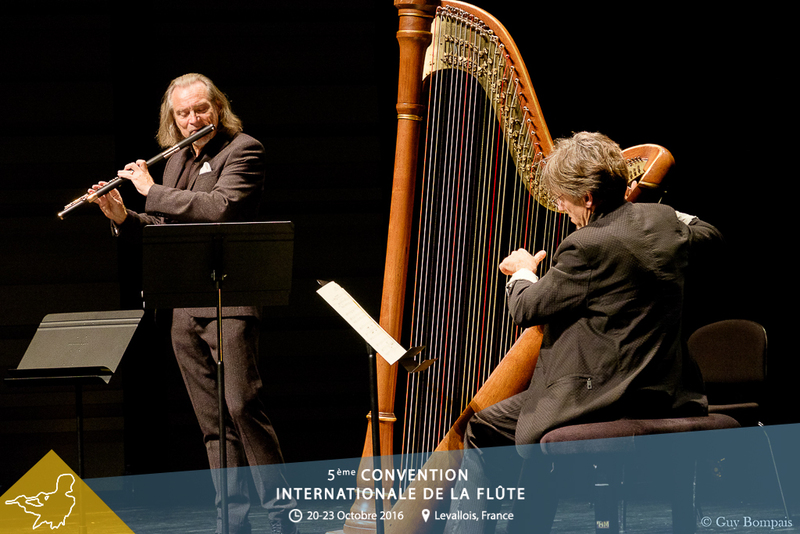 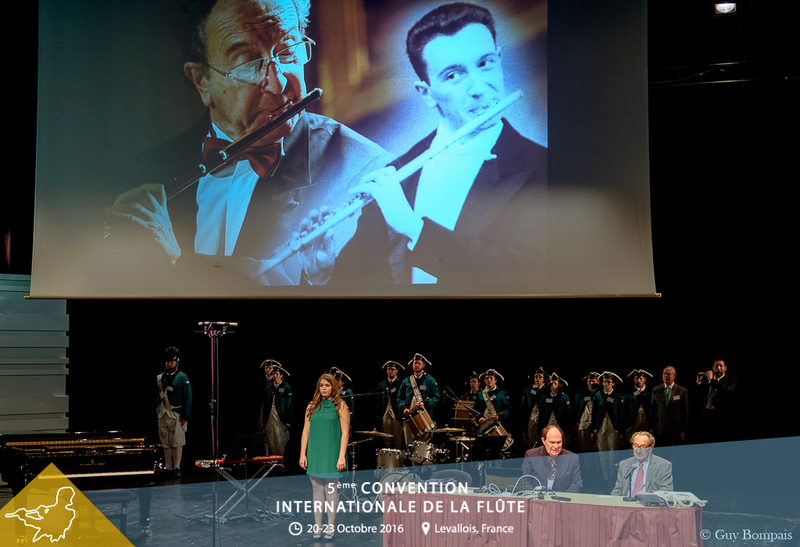 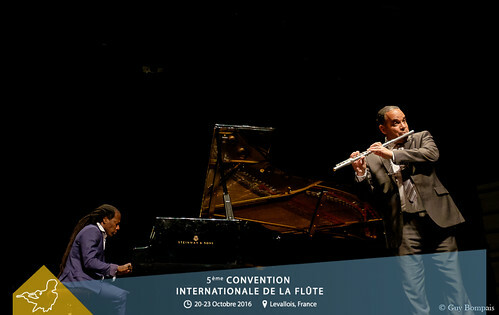 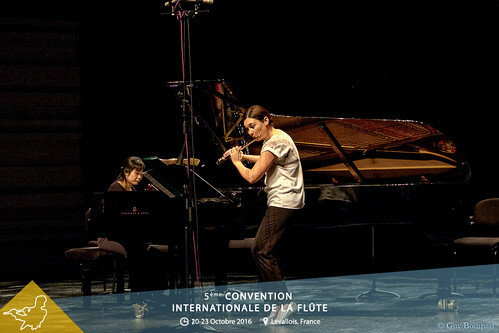 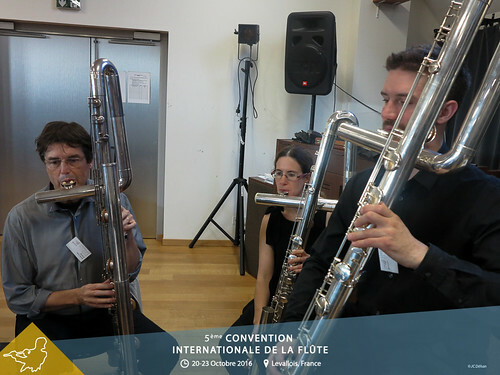 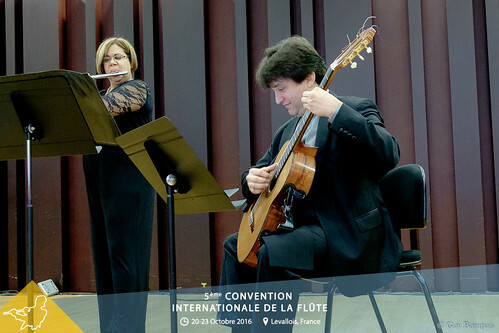 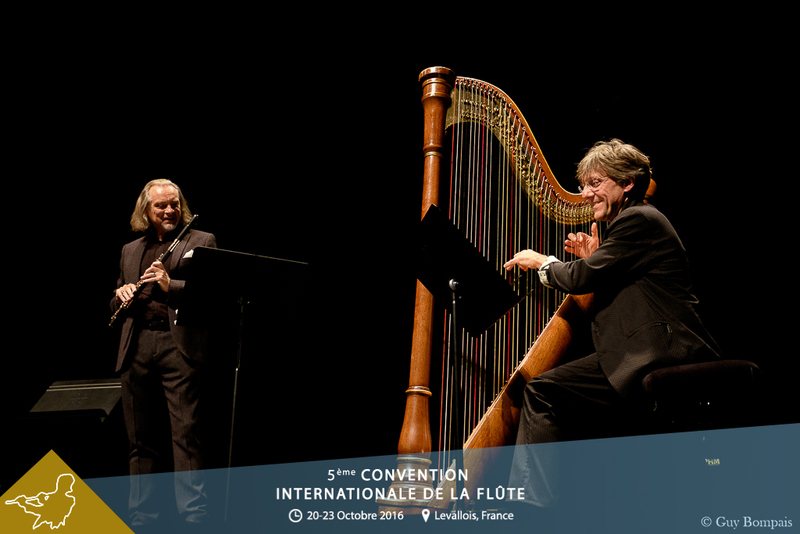 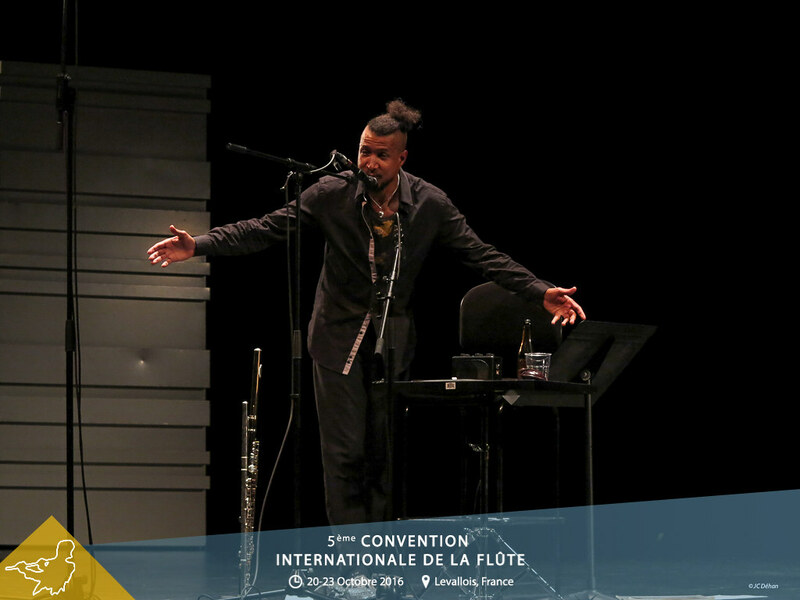 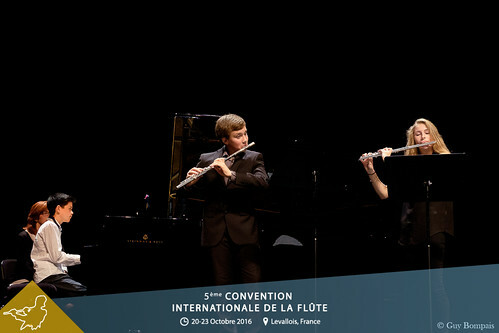 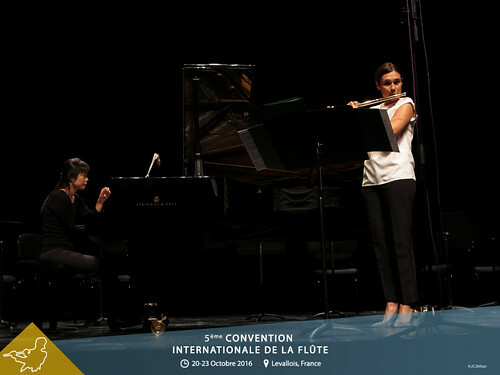 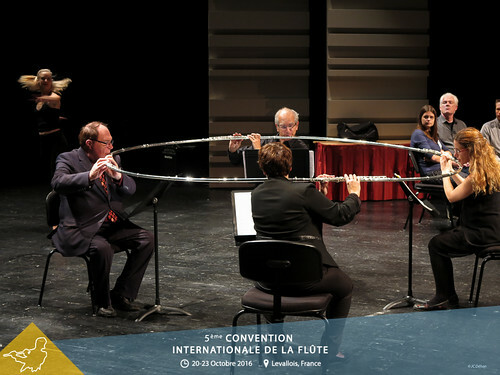 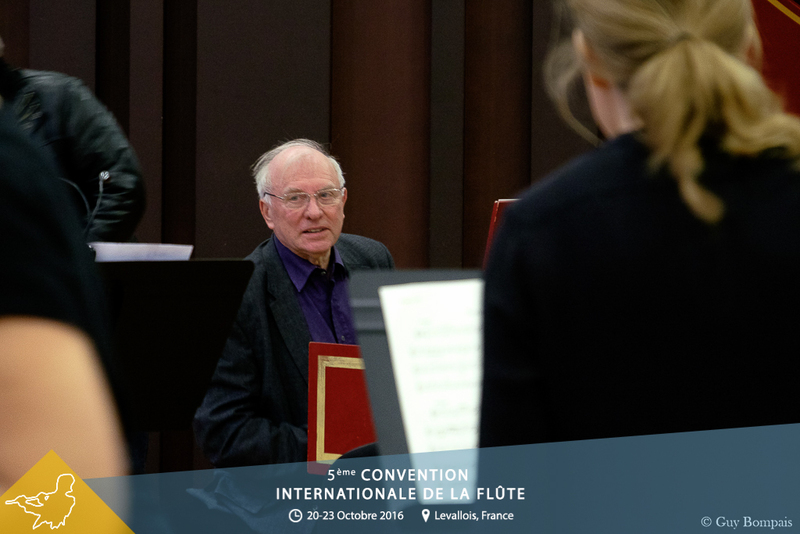 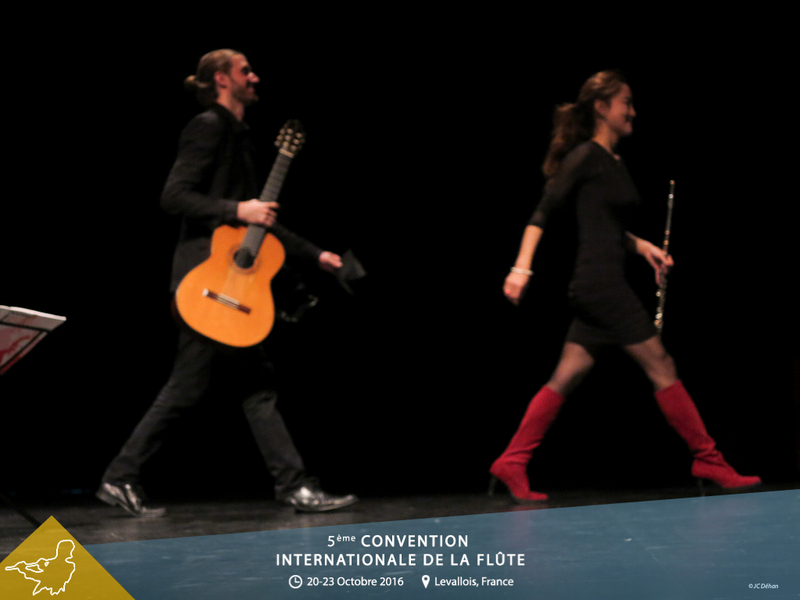 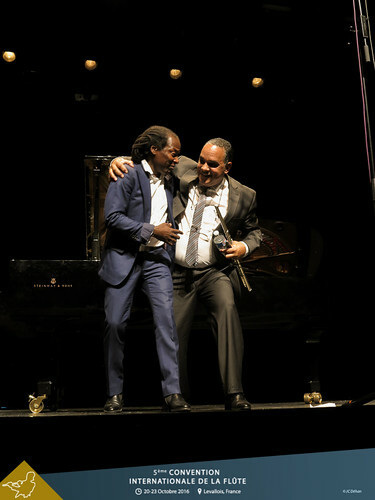 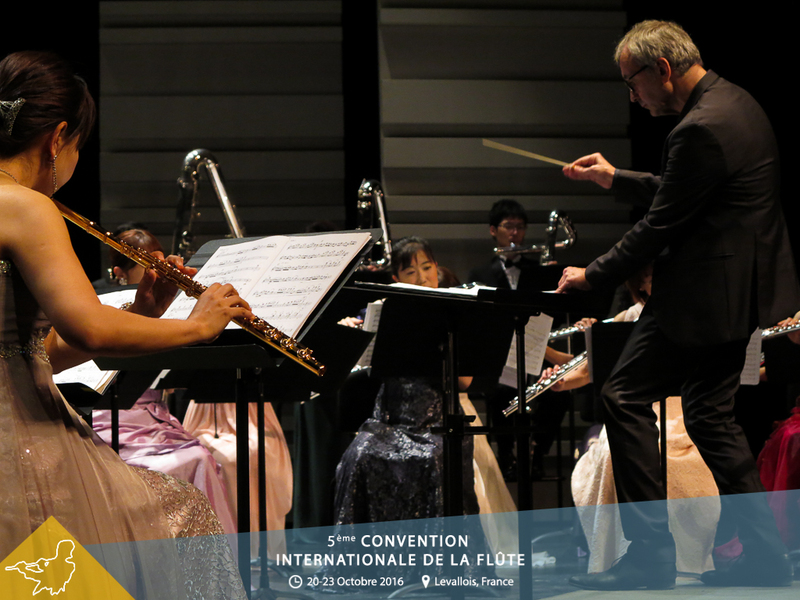 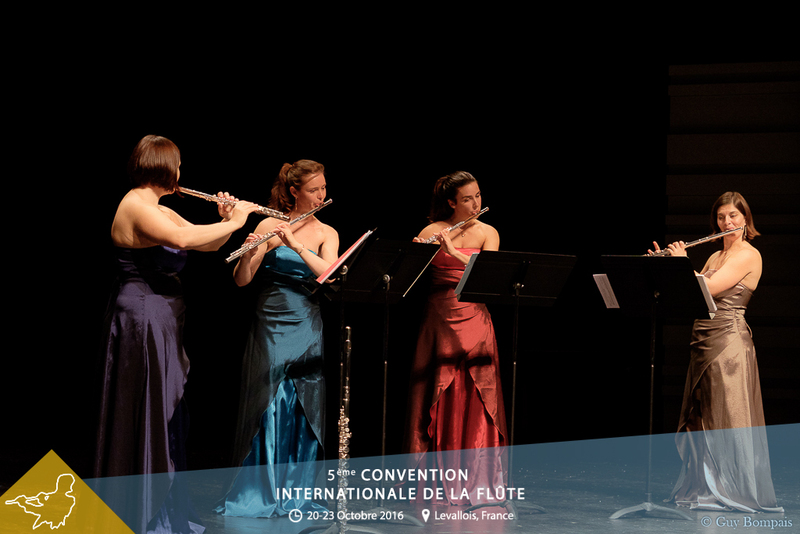 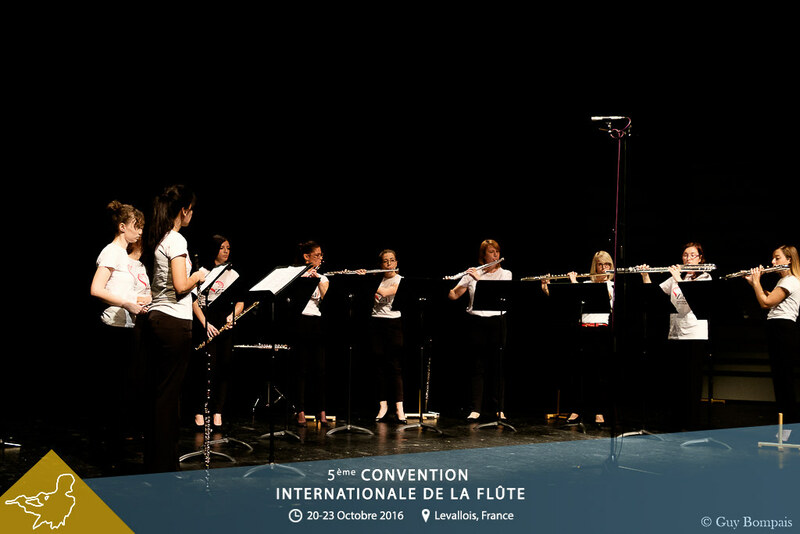 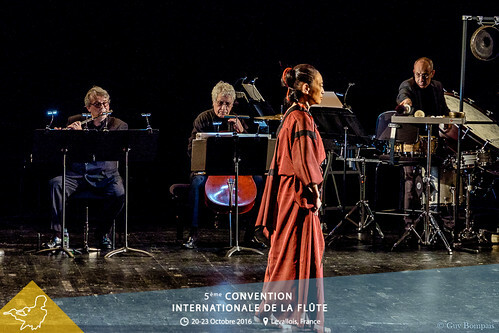 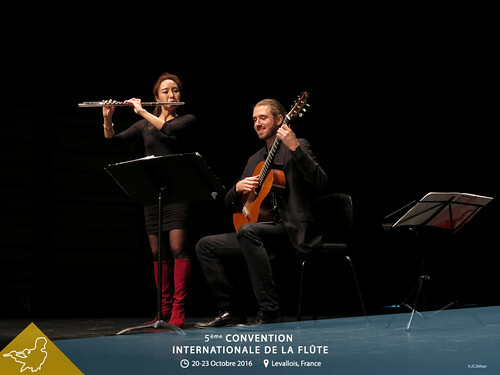 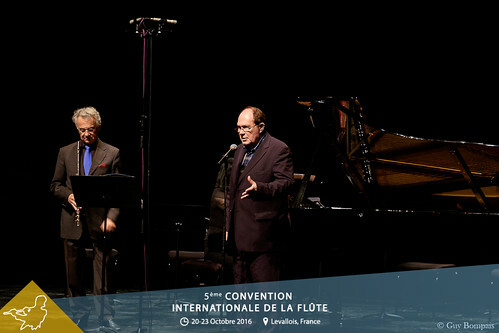 The International Convention of the Flute is a unique experience to exchange and share your passion with ease and friendliness. 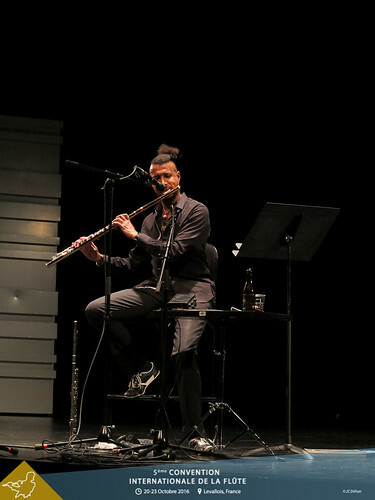 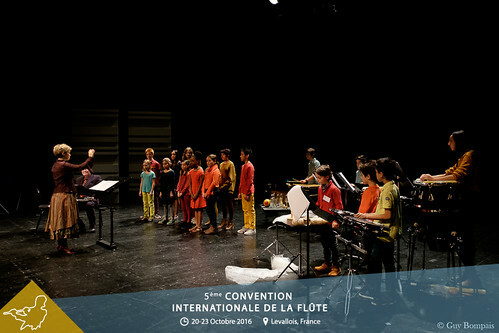 The International Flute Convention is open to all, offering an eclectic program (improvised music, contemporary, classical ...), but also offering activities for young and less young people, amateur and professional. 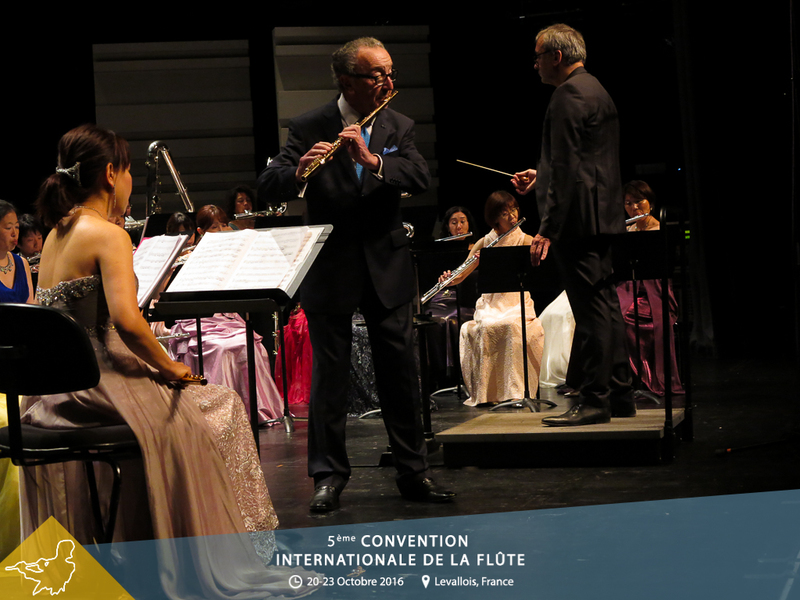 For each edition, the focus is on the richness of the flute repertoire, its diversity, its universality. 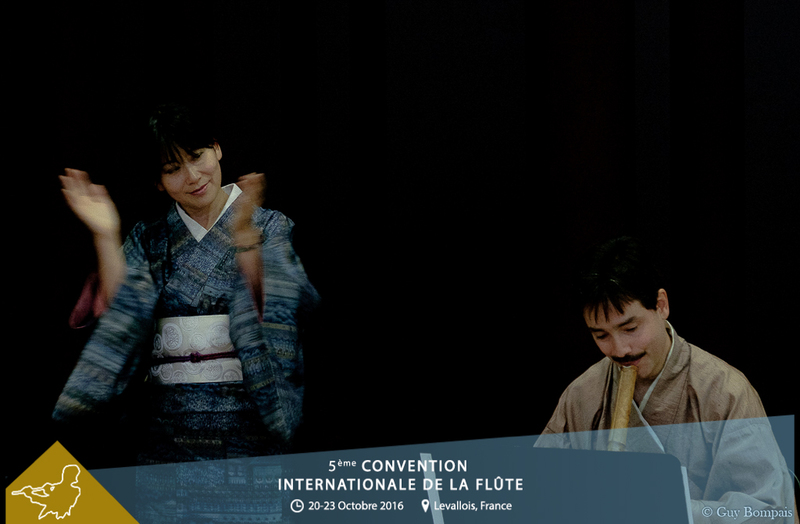 During each Convention, a panel of artists with immense talent shares their art and make us dream. 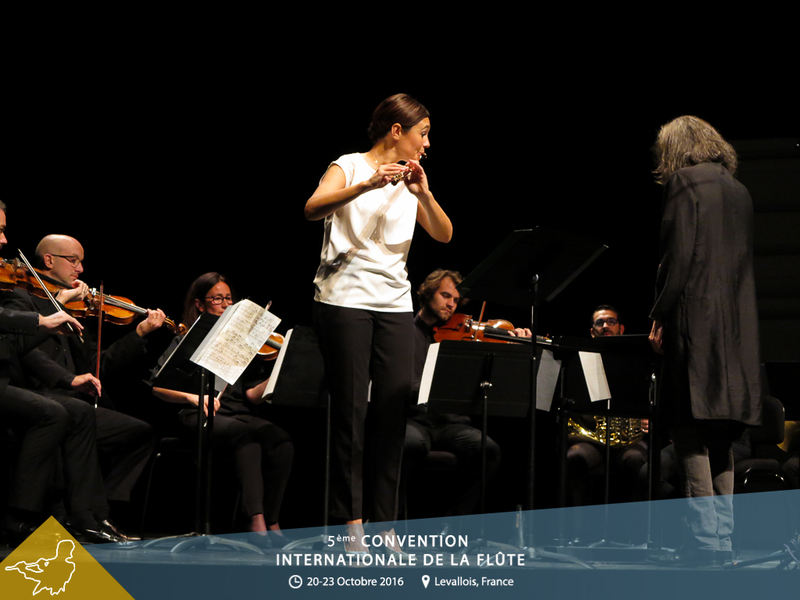 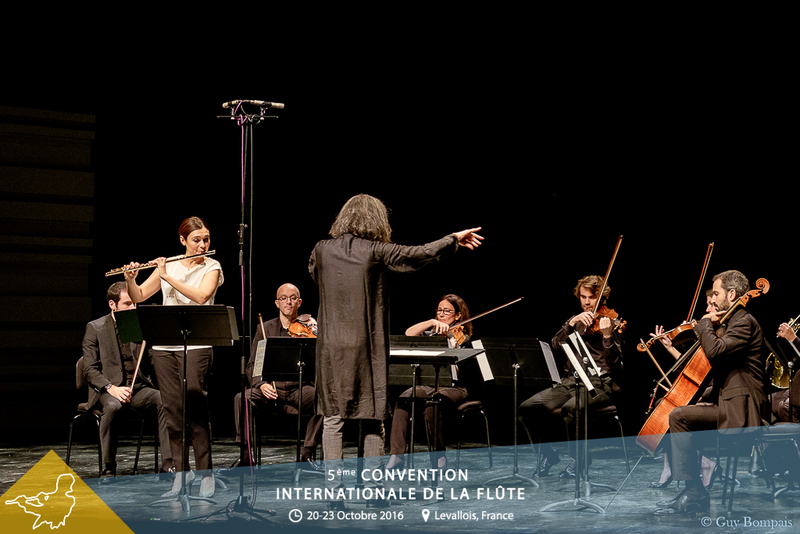 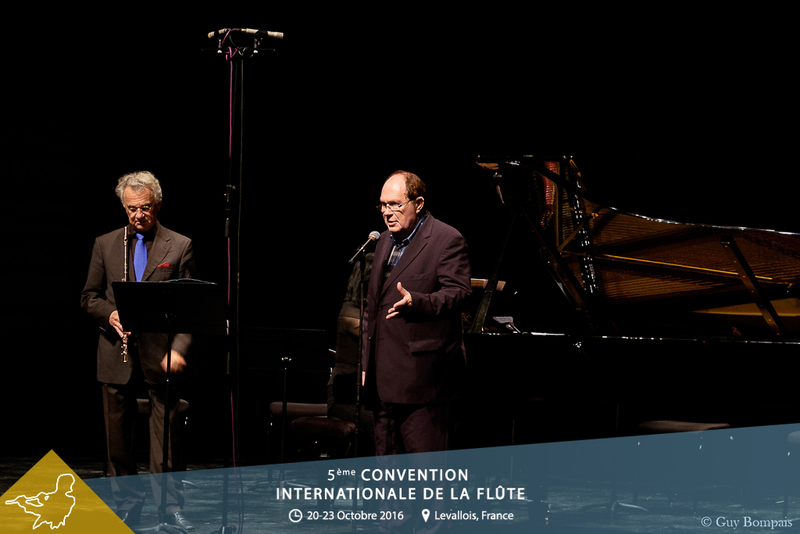 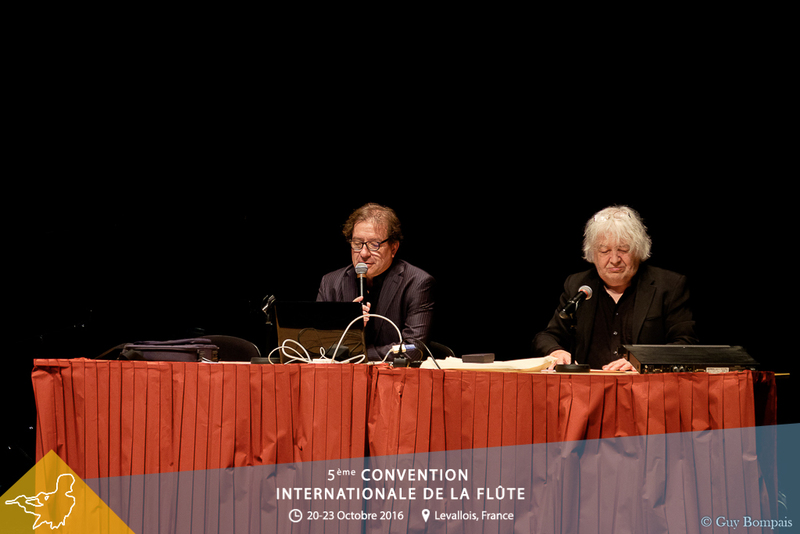 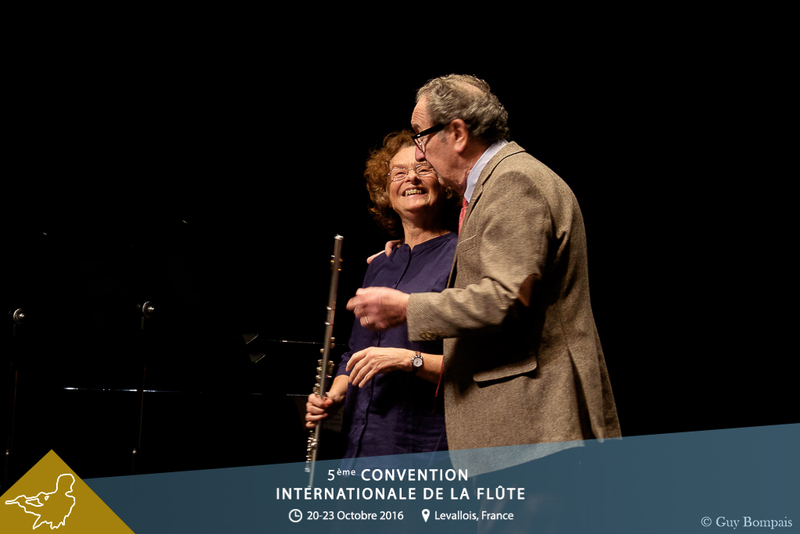 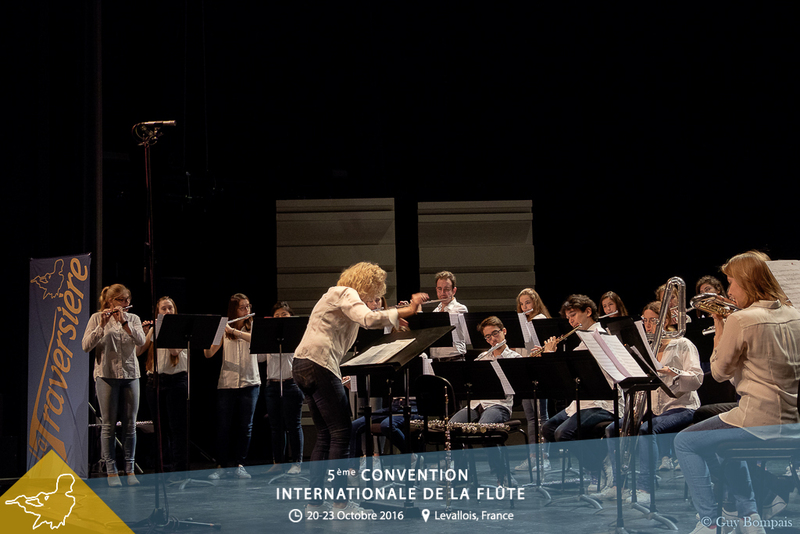 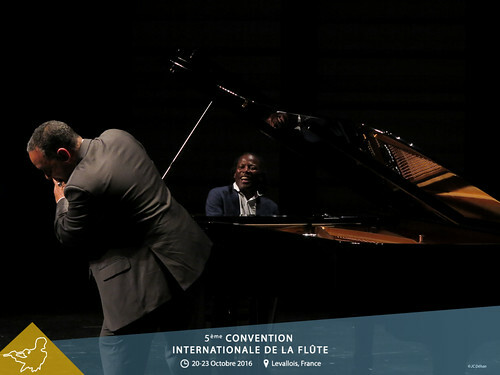 See you in 2020 for the next edition of The International Flute Convention; we promise you even stronger emotions ! Time flies by, register now ! 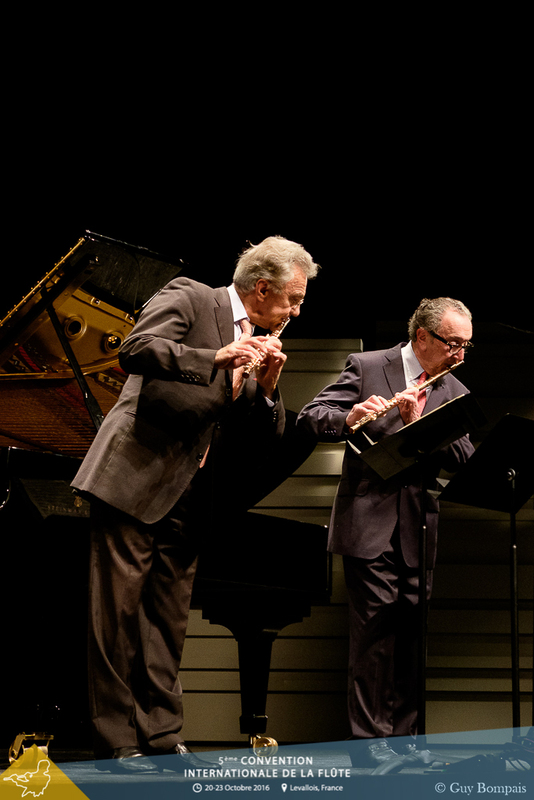 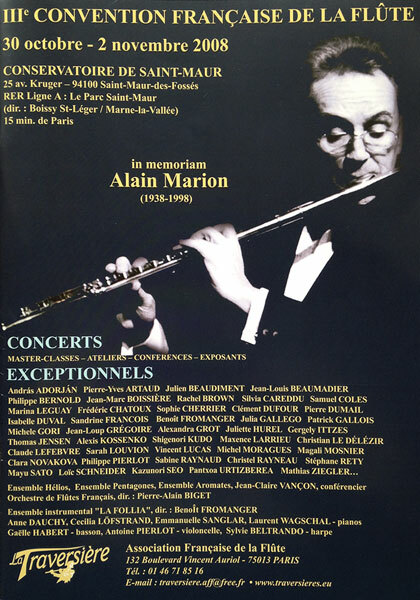 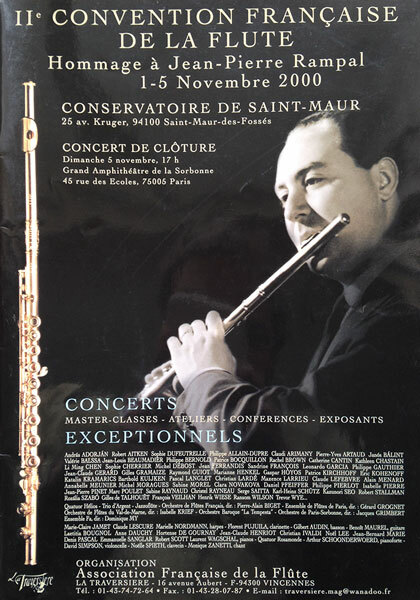 Outstanding programs highlighting the flute in its greatest repertoire. 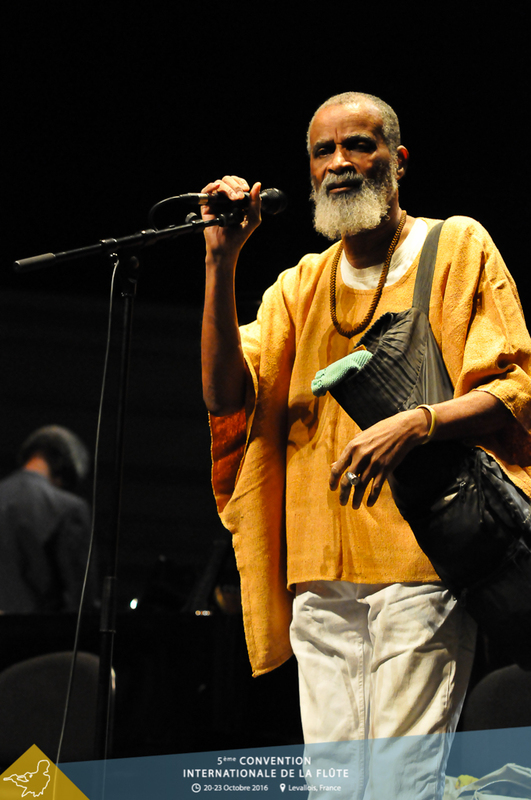 Classical, early music, jazz, beatbox, world music, there will be something for every ear ! 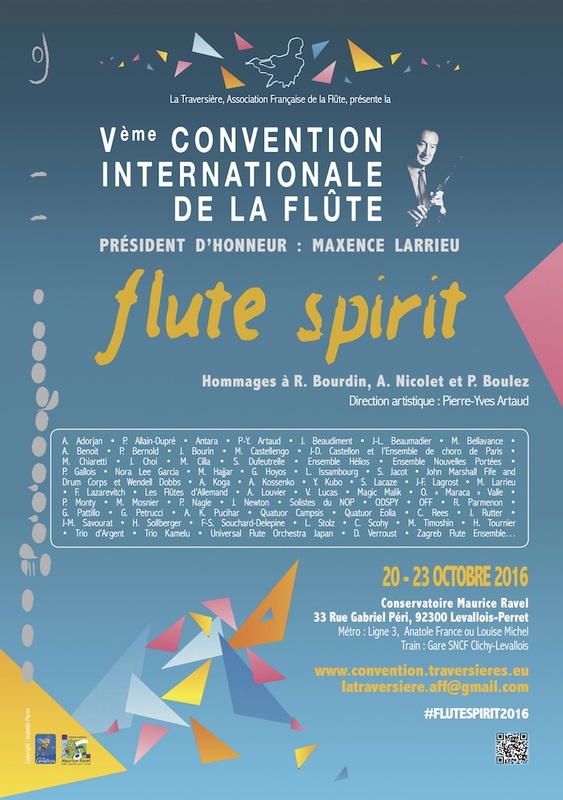 so that everyone can participate ! 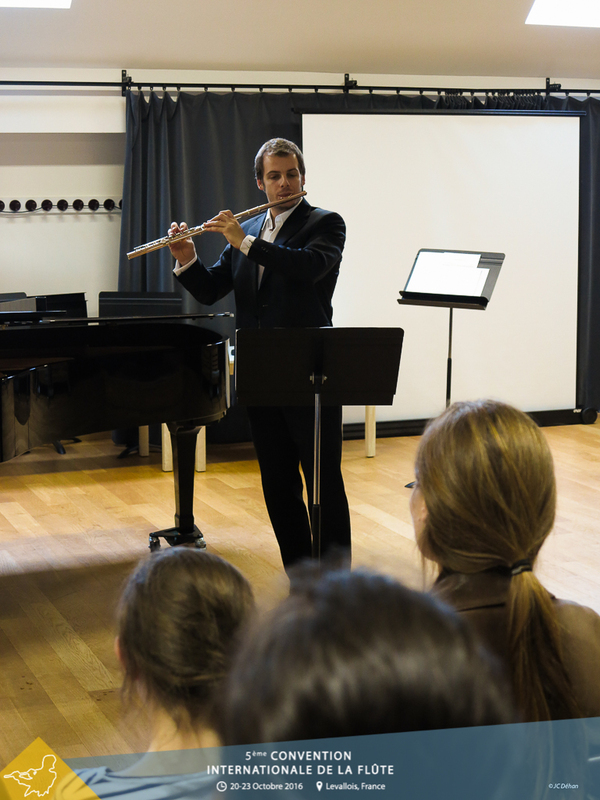 Led by several international guest soloists, offering classes to high level students. 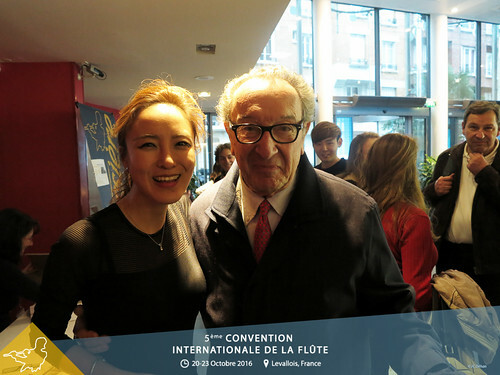 For everyone (young and less young! 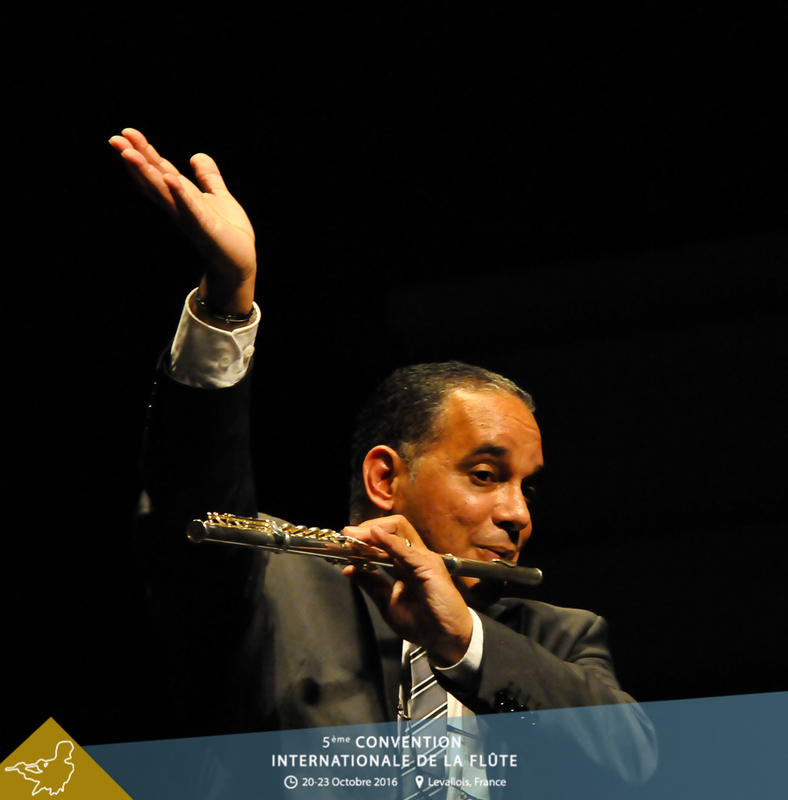 ), they will focus on the initiation to contemporary music, jazz, knowledge of flute repertoire and orchestra music. 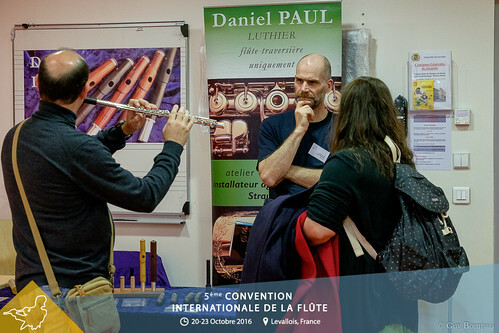 The exhibition is a unique place that gathers about thirty exhibitors at your disposal to help you and offer you the best advice. The perfect place to stroll, dream, and maybe fall for one of their products! 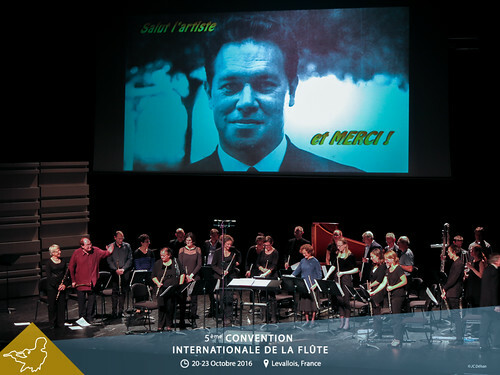 Les plus grands flûtistes vous y donnent rendez-vous ! 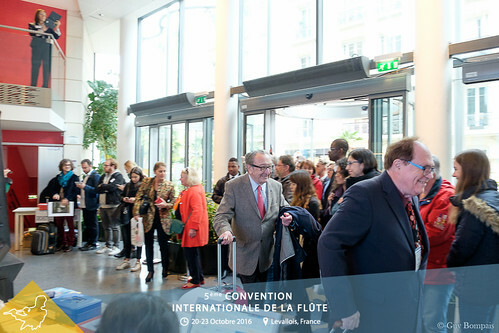 What about experiencing the Convention from behind the scenes ? For the 2016 edition we are looking for volunteers! 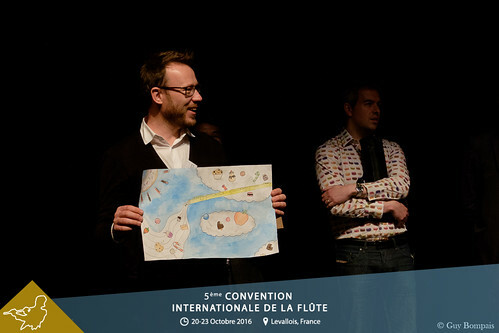 Do you wish to participate in the animation of a unique event, to experience it from the inside, and to share magical moments with the artists and the organizers ? 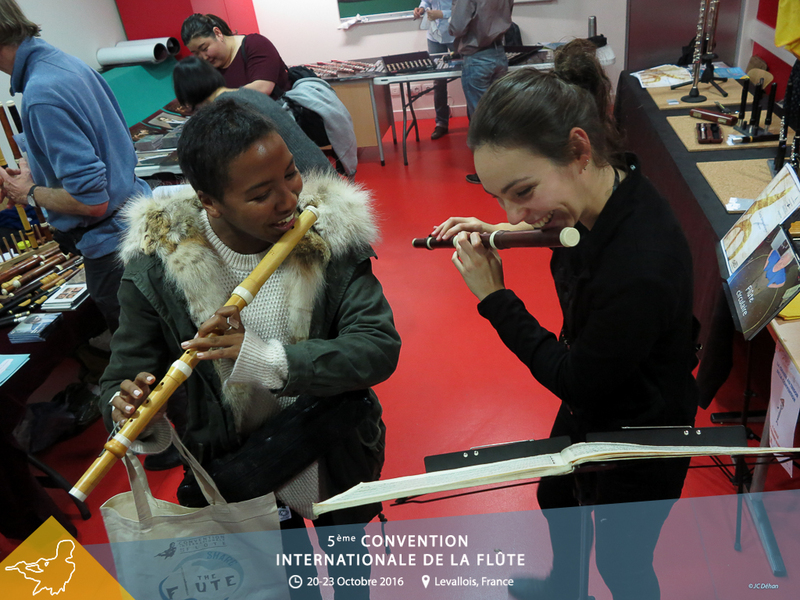 Do not hesitate, whatever your skills, they will be welcome ! 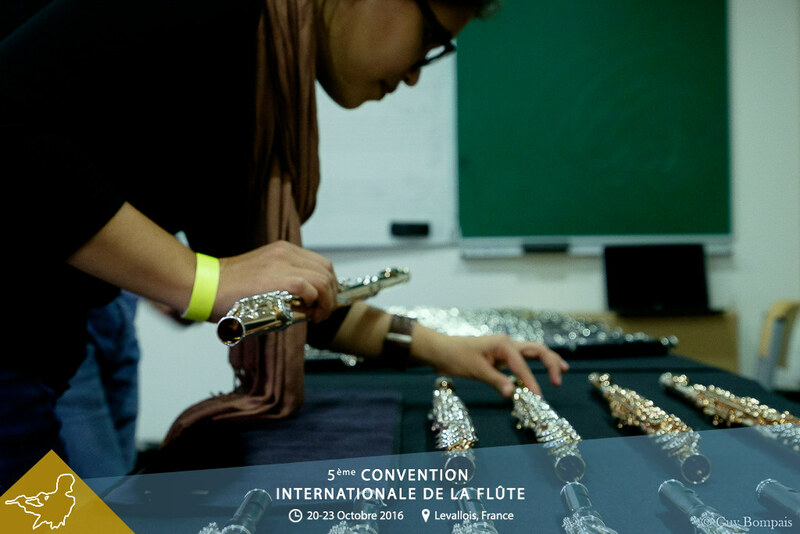 Sign Up for our newsletter and receive the latest news and alerts regarding the Flute Convention. 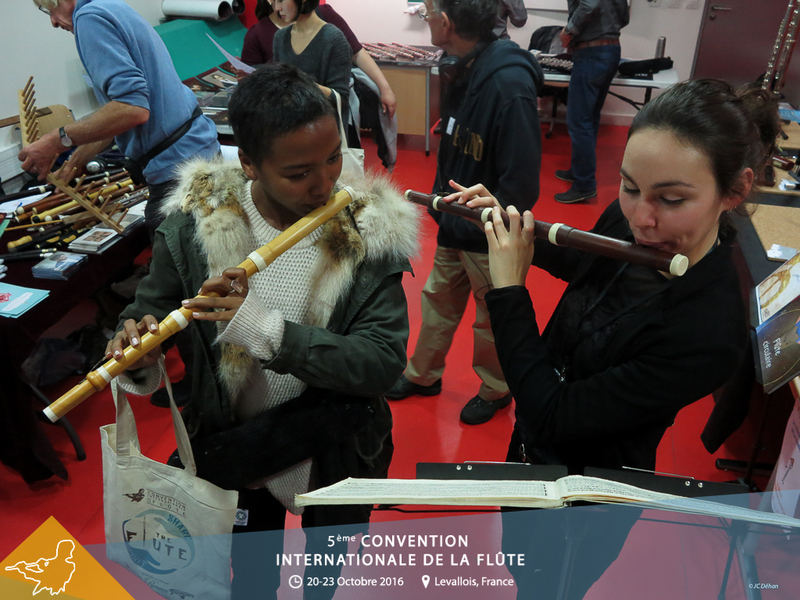 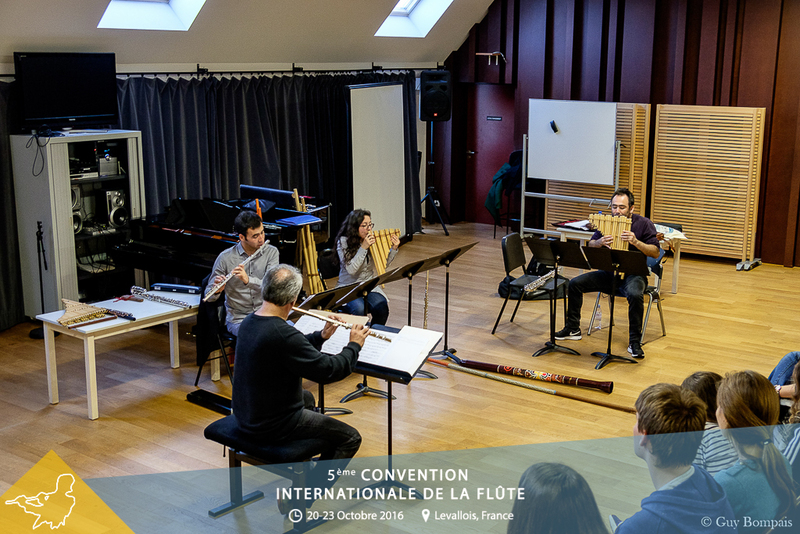 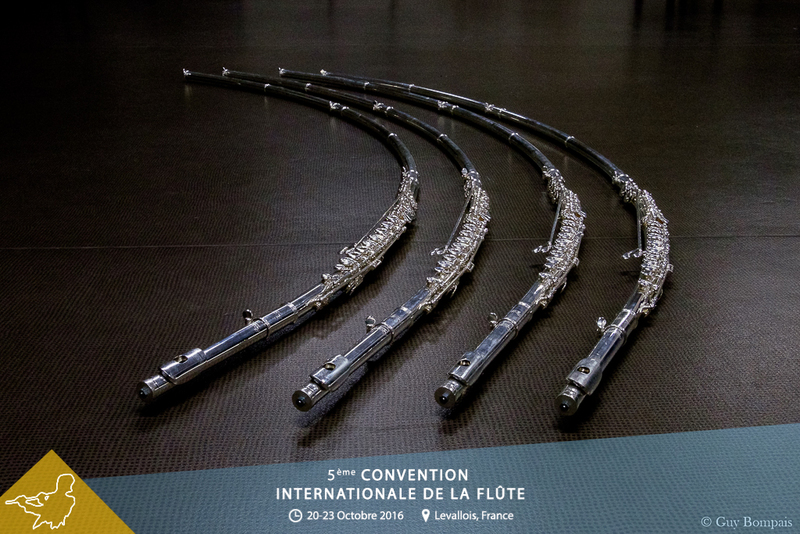 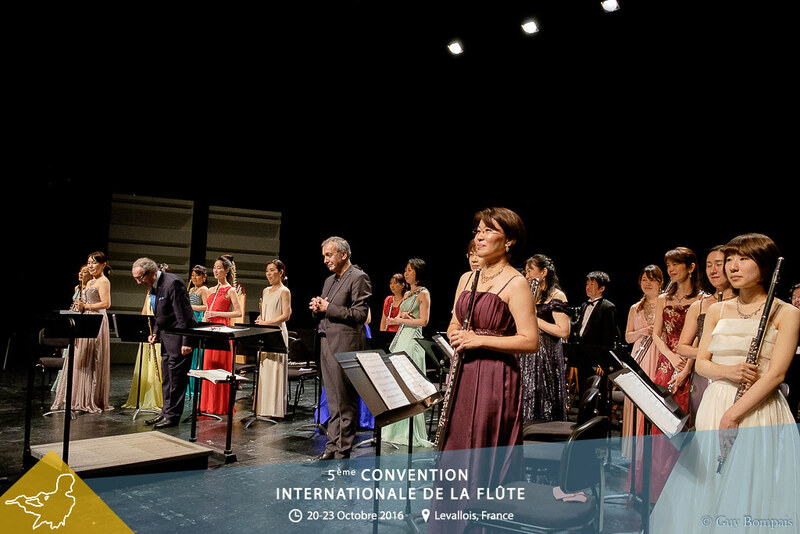 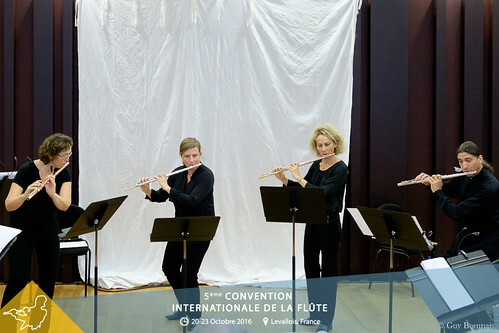 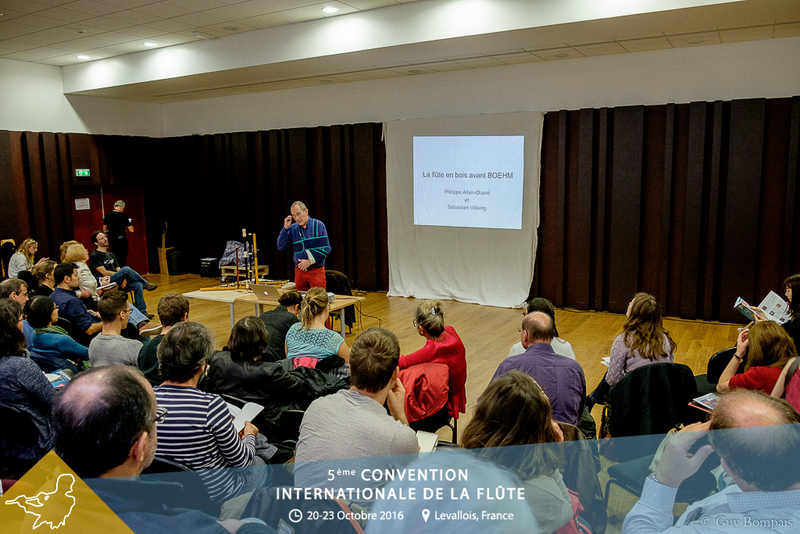 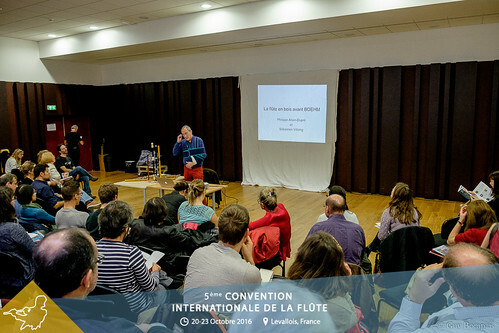 The 5th edition of the Flute Convention will be held in the Paris suburbs, at the conservatory Maurice-Ravel in Levallois. Visitez notre blog pour rester au fait! Stay tuned getting the official news from our blog. 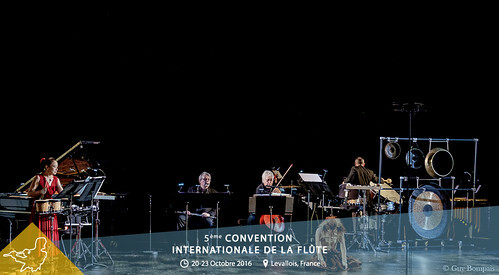 Copyright © 2016 La Traversière. All rights reserved.